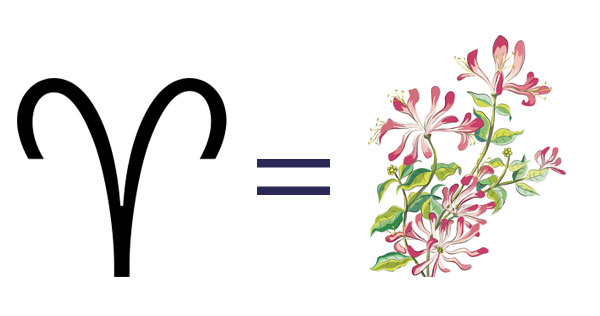 People often come across a statement every now and then: Flowers have a language of their own. Every flower symbolizes distinctive emotions and sentiments in terms of its variety and colors. Where a red rose is touted as a symbol of love and romance, while a yellow rose symbolize friendship and happiness. From the genesis of naming of flowers to their peculiar attributes and rich folklore, the mesmerizing blooms are imbued with varied metaphors and connotations. The hidden symbology and meanings have made people really choosy while selecting flowers for their loved ones on special occasions. We have deciphered the hidden symbolic meanings of flowers to familiarize you to a whole new world of floral language. With all this knowledge, you can add an enormous charm and essence to the next floral gift that you’ll send to your dear ones on their special occasions. Applauded for their eternal beauty and magnificent charm, roses have long been associated with Venus and Aphrodite, the Goddesses of love and beauty in Greek and Roman mythologies. These blooming beauties stand for confidentiality owing to the ease with which they have been passing on the unspoken messages for centuries. Rose is not just hailed as a lucky flower for the June month borns, but, it is also referred as the 15th wedding anniversary flower. Each color of these beautiful flowers represents a different meaning and emotion. 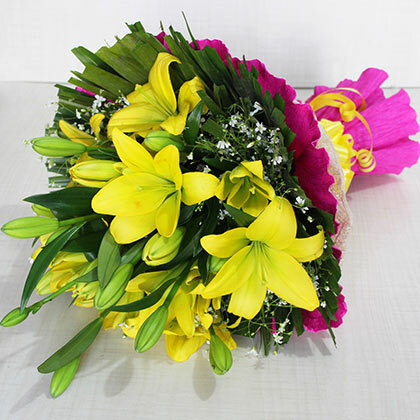 Owing to their royal beauty and opulent elegance, lilies have become popular gifting flowers on various occasions. Renowned as a May birth flower and the 30th anniversary flower, these lovely blossoms symbolizes humility, faith, purity, and commitment. The fascinating flowers are an impeccable choice to flatter the heart of the beloveds leaving a long-lasting impression on them. These blooms are also referred as funeral flowers as they symbolize the peaceful departure of the soul into the heaven. 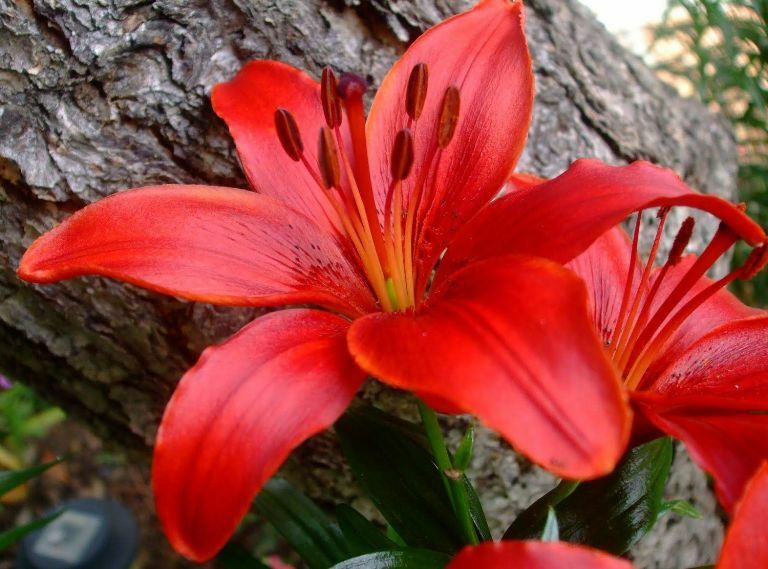 Just like roses, lilies also boast of different colors each symbolizing a distinctive meaning. Pink stargazer lilies: Symbolizes abundance, aspiration, and prosperity. 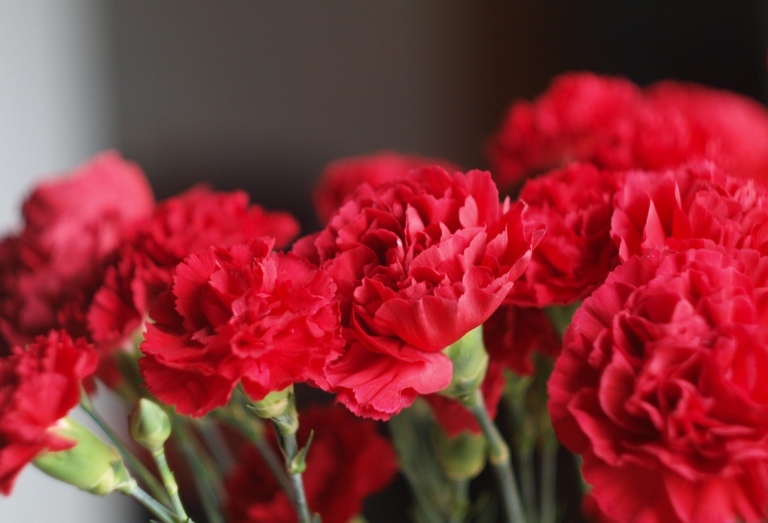 Having a history that goes back to more than two millenniums, carnations have been spreading its charm since a long time. Each variety of these flowers is infused with symbolism. Though, there is an extensive variety of range of colors in which these blooms are found, but in general, they are symbolic of love, admirations, and prestige. Apart from being a popular flower during the celebrations of Mother’s Day, Teacher’s Day, and at the weddings, this pleasantly scented flower also makes a trendy beautiful bouquet for the loved ones born in January and on the occasion of first wedding anniversary. In Greek, Chrysanthemums means golden flower. After years of skillful cultivation, these vivacious blossoms have been produced in variety of colors. Having striking resemblance to daisies due to a natural yellow center and ornamental petals, chrysanthemums represents optimism and happiness. They are referred as the November birth flower and the 13th wedding anniversary flower. People say that if a single petal of this flower is kept at the bottom of a vine glass promotes a healthy long life. 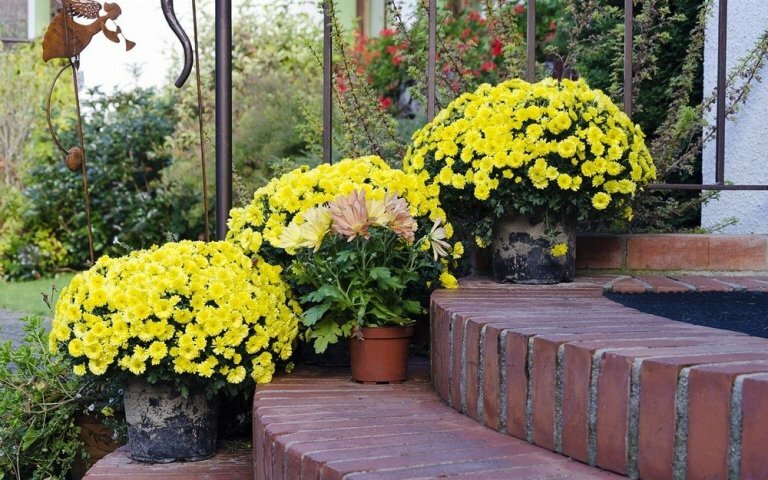 Generally, chrysanthemums stand for endurance, devotion, bliss and optimism. The other colors symbolize other vital meanings as well. 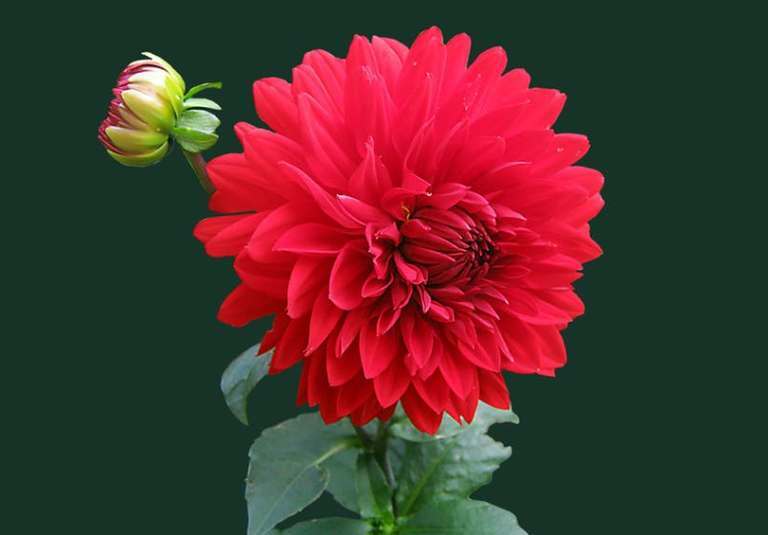 Red chrysanthemums: Symbolize deep love and passion. 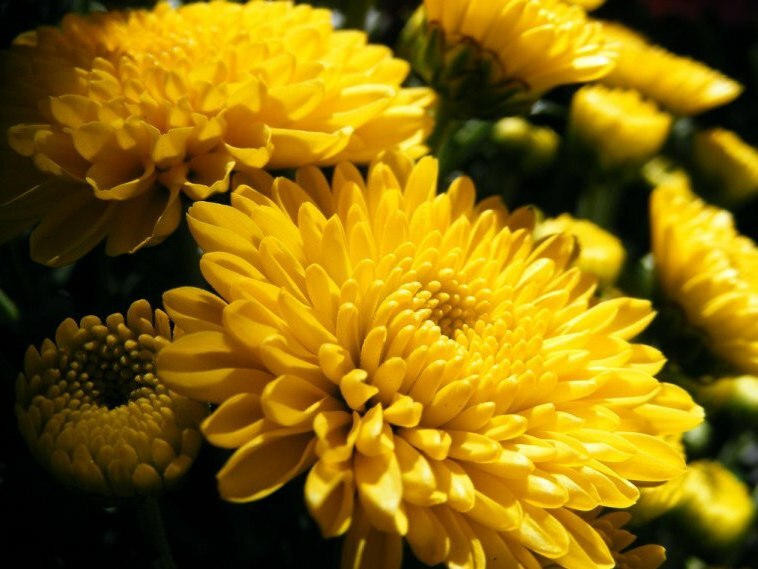 Yellow chrysanthemums: Stands for neglected love or sadness. White chrysanthemums: Signify loyalty and honesty. Violet chrysanthemums: Represents get well soon wishes. 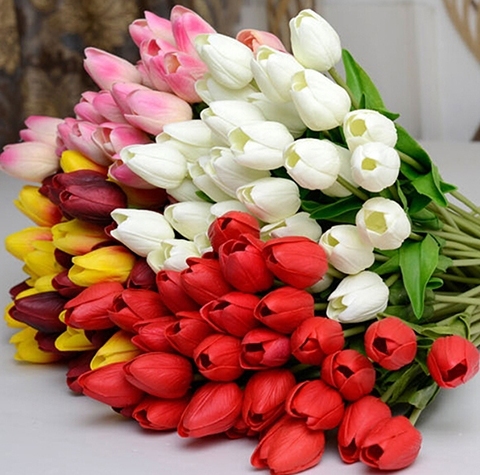 Popularly called as the 11th wedding anniversary flower, the tulips flowers hold symbolism in its very form. The dark velvety center signifies the heart of a lover darkened by the heat of love and passion. With the strength to give a tough competition to roses in their red form, and the pleasant aura to express happiness when yellow, there is no doubt that these lively flowers are epitome of true grace and charm. White tulips: A perfect way to say sorry as they represent apologies. Highly touted as ornamental flowers, the exotic orchids truly represent delicate beauty, love, and strength. Whereas the orchids were associated with chivalry in Greek mythology, these flowers symbolized luxury during the Victorian times. Even today, orchids continue to lurk in the minds of the people with their magnificent charm and skillful radiance. The pink orchids are famous as 14th wedding anniversary flower as they signify deep affection for the loved ones. White orchids: Represents innocence, chastity, charm and reverence. 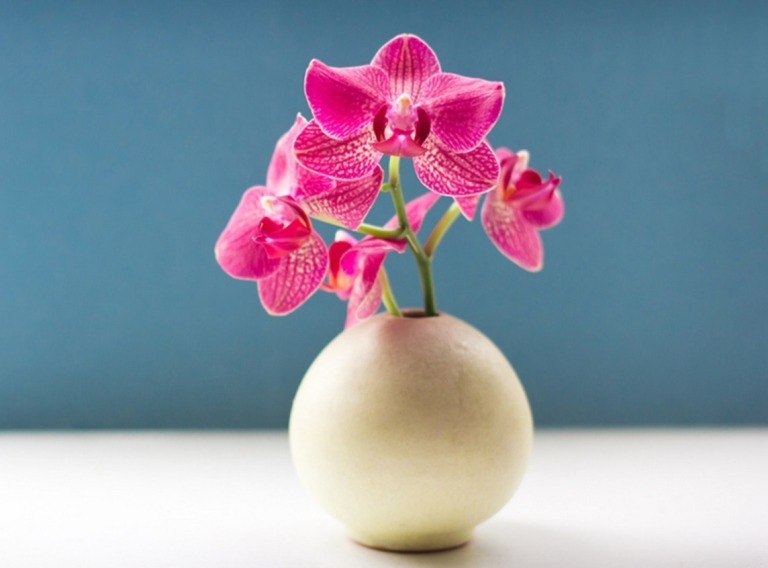 Pink orchids: Symbolize womanhood, agility, and joy. Yellow orchids: Signify friendship and fresh beginnings. Orange orchids: Illustrates dignity, excitement, and courage. These captivating flowers hold a place in the history of Ancient Greece. 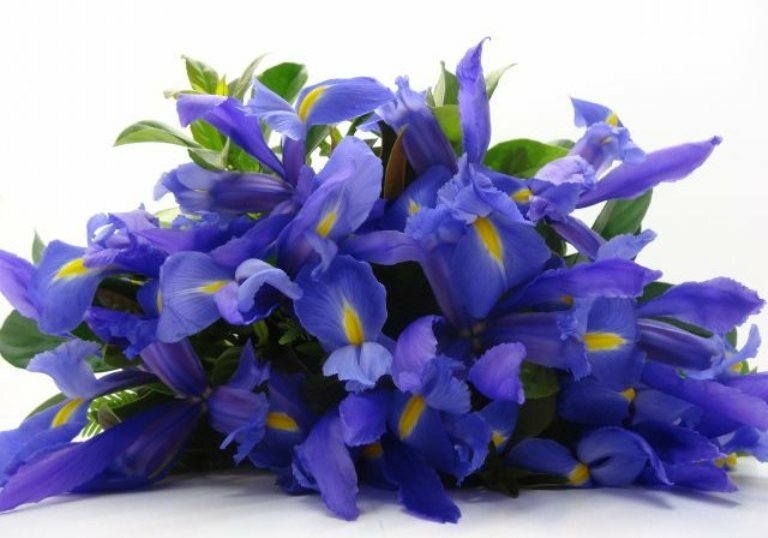 These flowers epitomize Goddess Iris, a personification of rainbow that connects sky to the earth with its colorful hues. 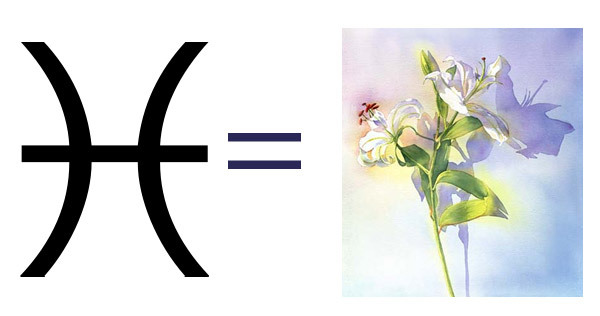 The three vertical petals of Iris represent conviction, valor, and sophistication. 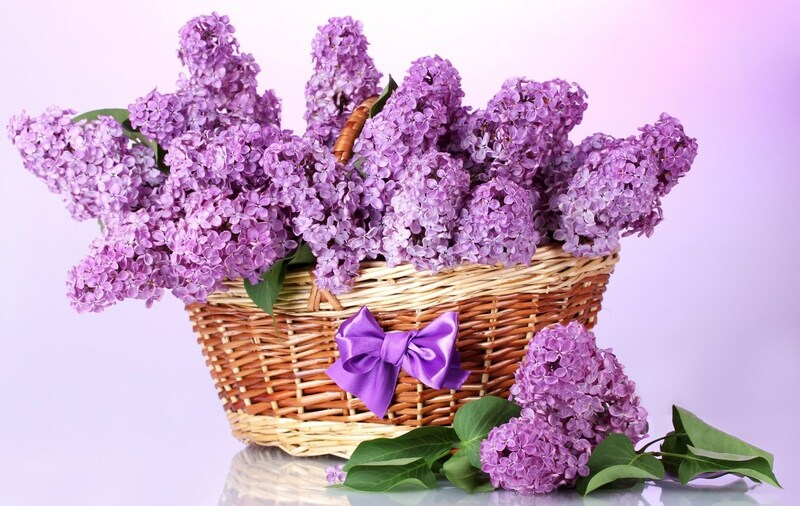 It is a birth flower for the February borns and is also hailed as the 25th wedding anniversary flower. Daffodils are all about the spring season. These alluring golden yellow blossoms symbolize fresh beginnings and rebirth. It is considered as a fortunate emblem of future accomplishments and make a best gift to those who are about to step in a new phase of life. Recognized as a 10th wedding anniversary flower and March birth flower, these blossoms holds happiness in its every petal. Owing to the upright and sharp shape of the leaves, this flower got its name from a Latin word “gladius” which means a sword. 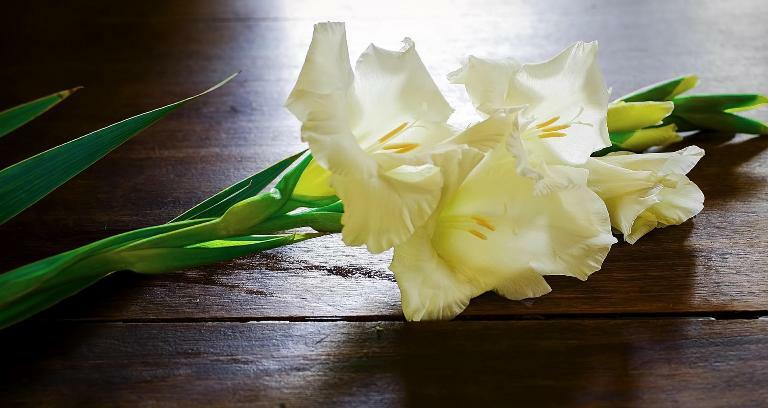 Representing power and moral integrity, gladiolus is the best way to express the feelings of deep love and infatuation to the beloved. Beautiful and intensely hued with tall stems, gladiolus is the August birth flower and 40th wedding anniversary flower. 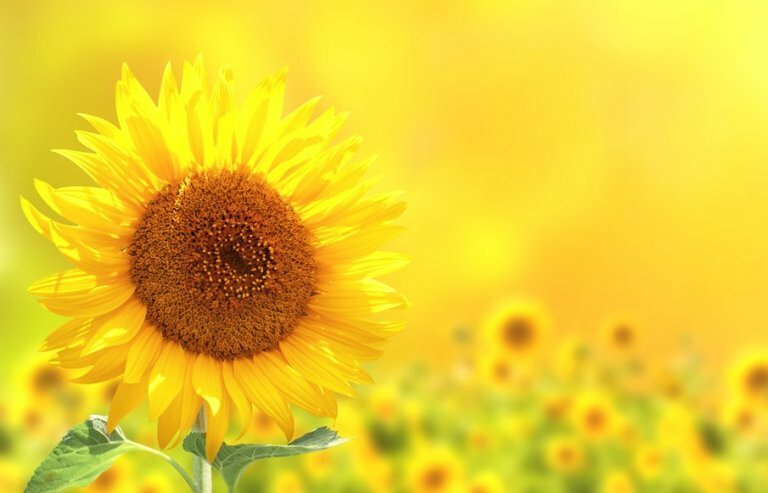 Commonly associated with sun, the sunflowers is not known for having a warm and stunning appearance, but is widely used in the manufacturing of edible oils and food. 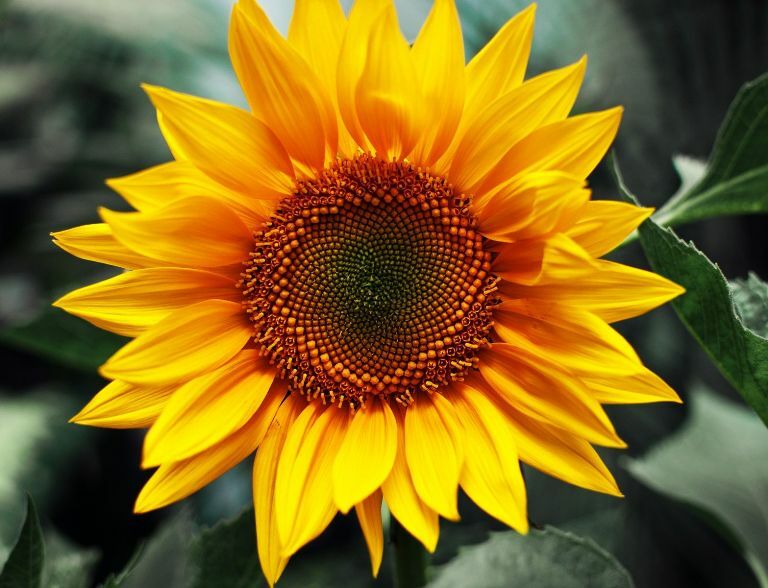 Sunflower signifies warmth, longevity, and happiness in its every petal. This vibrant bloom is a 3rd wedding anniversary flower that follows the directions of the sun. 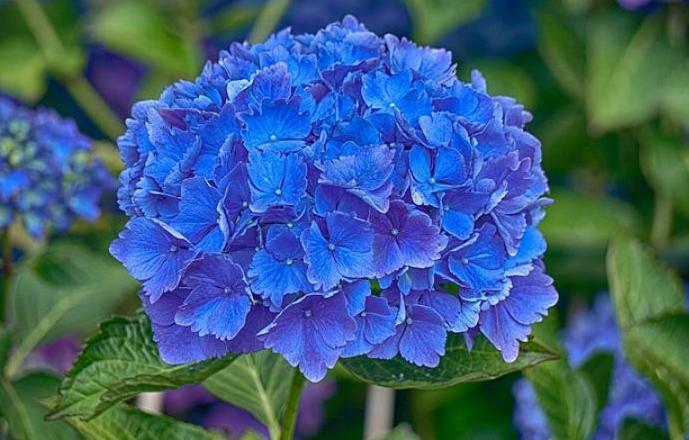 Having wooden stems and frilly, star-shaped blooms, the hydrangea comes in different color hues. Ranging from white to blue, pink to purple, and the color of this lovely flower depends on the acidity of the soil in which it is grown. 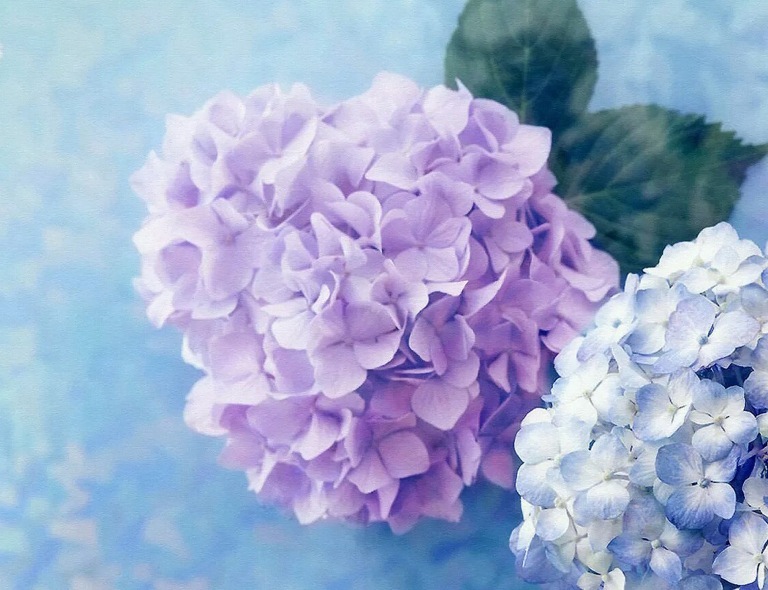 The language of the hydrangea flower is difficult to predict as they are multiple symbolisms related to this flower. It is not only associated with pride and boastfulness, but the flower is also said to symbolize gratefulness. The flower is a perfect 4th wedding anniversary flower owing to its beauty and elegance. We greatly hope that this blog must have cleared the clouds of confusion regarding the language and meaning of different flowers in your minds. Next time, don’t forget to get a bouquet for your dear ones that not just boast of vibrant hues but beautifully convey your hearty feeling to them. Avail these lovely blossoms from Giftalove.com for that everlasting affect on your loved one’s heart. 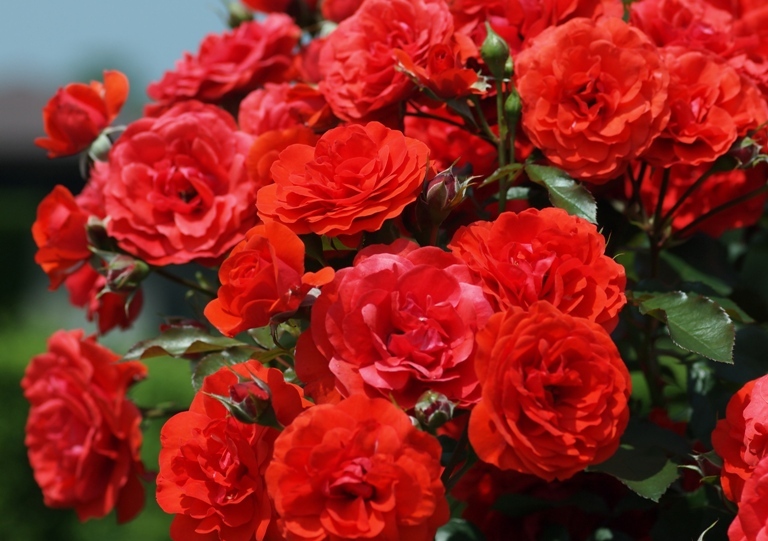 5 Beautiful Red Flowers that Defines Love like a Rose! It’s true that red roses define love in the true sense but just like a red rose is considered to be the epitome of love, several other beautiful flowers explains love beautifully. 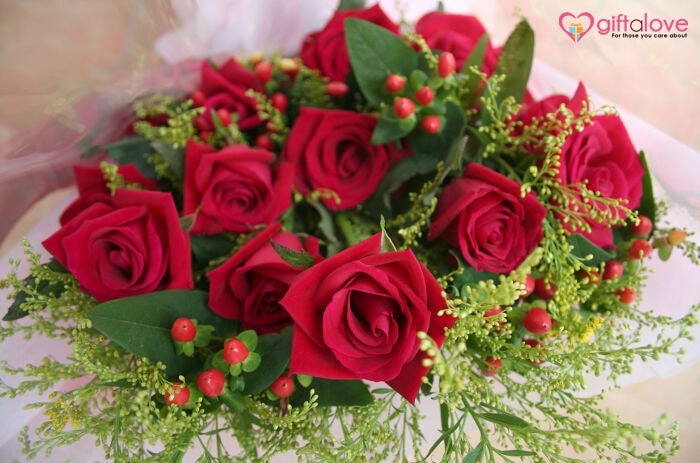 So, just like Red Roses are excellent token of love, there are 3 beautiful red flowers that can also convey love wonderfully. Beautiful tulips flowers are loved by everyone. 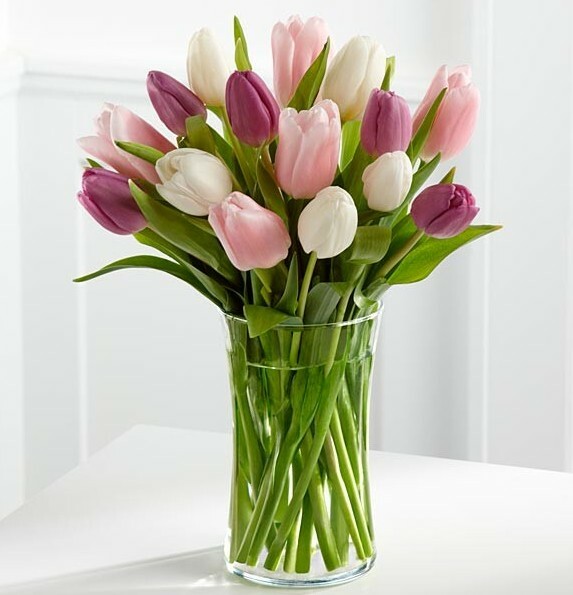 In fact, the selection of tulips over other usual flowers is considered a classy gift choice by everyone. 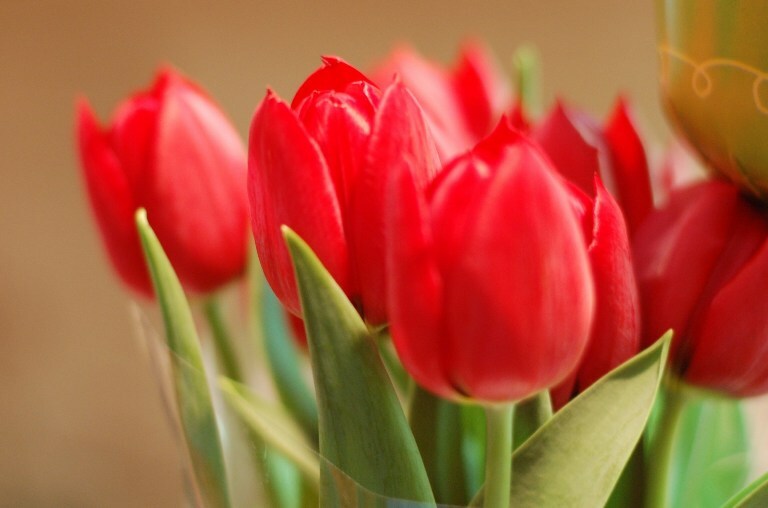 Thus, on the day of confessing love or impressing sweetheart, red tulips are excellent gift choice if you don’t want to pick red roses as a usual option. No wonder, the charm of red roses will definitely help you win heart of your dearest one on any special day. 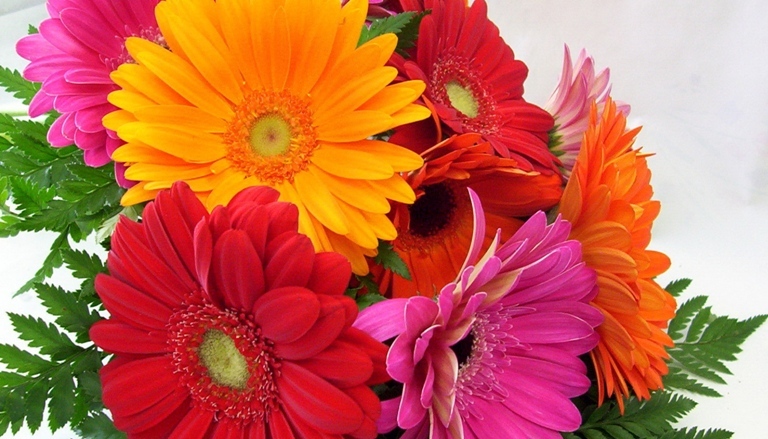 One of the most favorite flowers of florists is Gerbera. 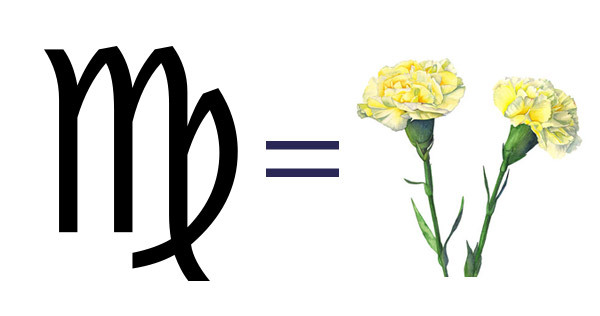 Also, this long petal flower is also loved by people after roses. 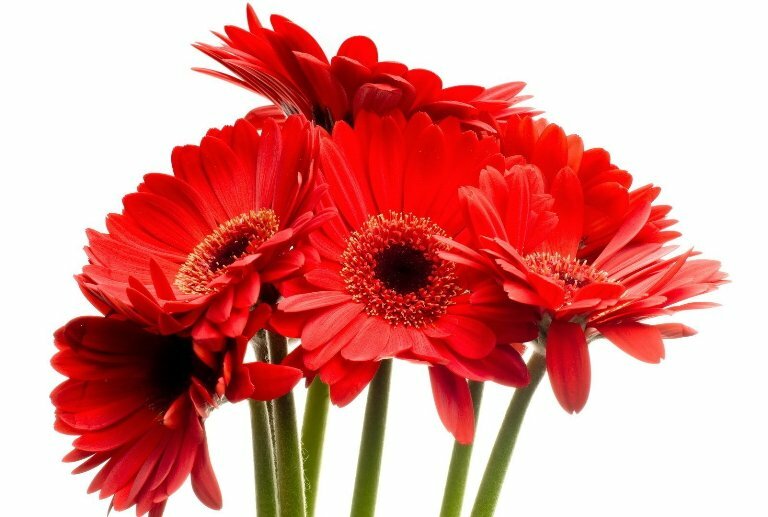 So, if the need of the hour is to gift a beautiful red and romantic flower to sweetheart for confessing the heartiest feelings of love then Red Gerberas (https://www.giftalove.com/gerbera) are definitely an excellent gift choice to make despite usual roses. May be your special one would appreciate the idea of gifting another beautiful red flower despite usual red roses. 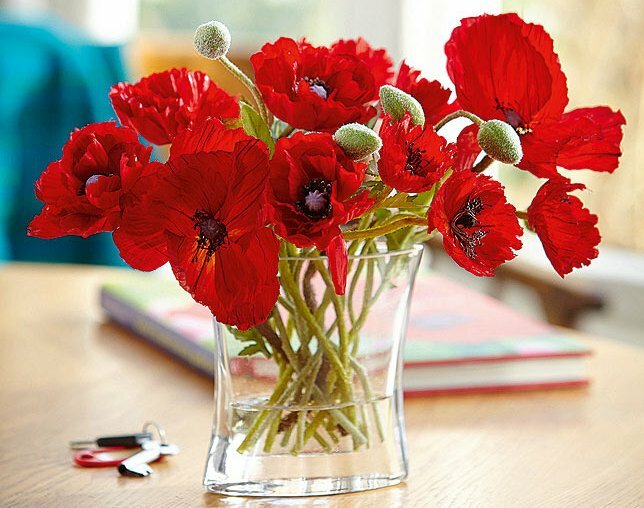 If looking for a bit unconventional flower for gifting and winning heart of the special one on a special day then red poppies can be great choice. The delicateness and elegance of poppy flowers will prove excellent choice for expressing your heartiest feelings that are as delicate and beautiful as this flower. You can try gifting red poppy flower bunch and win heart of the special one on anniversary, wedding, birthday, Valentine’s Day or anytime you wish. A bunch of poppy flowers would be excellent Mother’s day gift too. For simply making a heart winning gesture of greeting your special one with a floral gift go for this flower choice. Be it Anniversary, Valentine’s Day or any other special day, a bunch or basket arrangement of red lilies will be very impressive floral gift. No wonder, you can express your romantic side to your sweetheart with flower arrangement of red lilies, despite red roses. 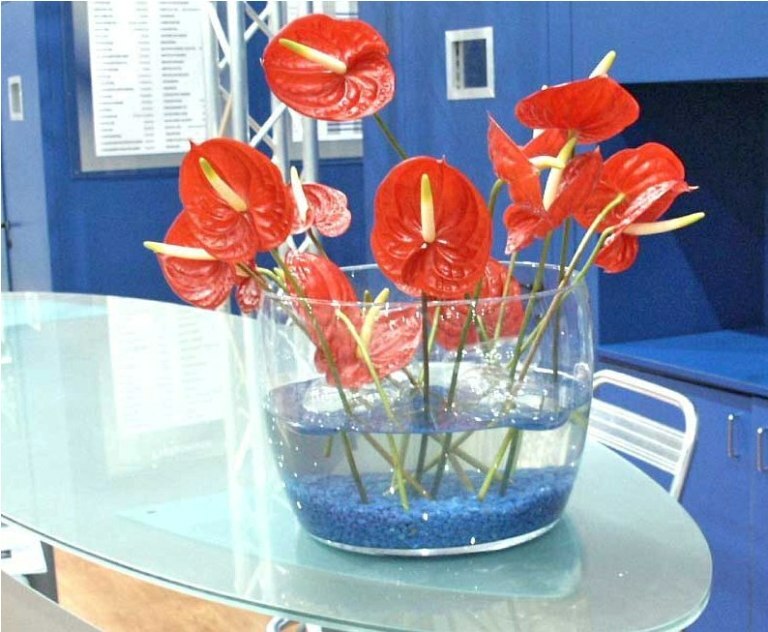 If you are totally baffled with the idea of most unique red blooms to express your romantic feelings to sweetheart then you must not think twice in making choice for Red Anthurium flowers. It’s the unique leaf like flower that is usually found in red color. If your sweetheart loves unique things then he/she will definitely love the idea of gifting unique Red Anthurium Flowers as well for confessing heartiest love. Flowers are beautiful gift of nature that conveys love and emotions in the best way. The nature has gifted an uncountable variety of flowers to us among red roses have been measured as one of the most beautiful flowers. It is the beauty of red roses that made people find it the best but surprisingly, there are plenty of other beautiful flowers in the nature that are as beautiful as a rose. 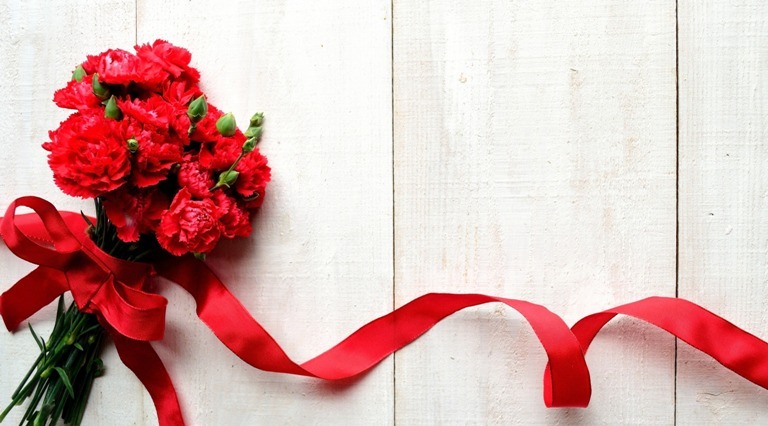 Hope, the above mentioned ideas on some most beautiful red flowers will help you confess love to the special one in a memorable way. Want to add some more brightness and pleasance to your home during summers? 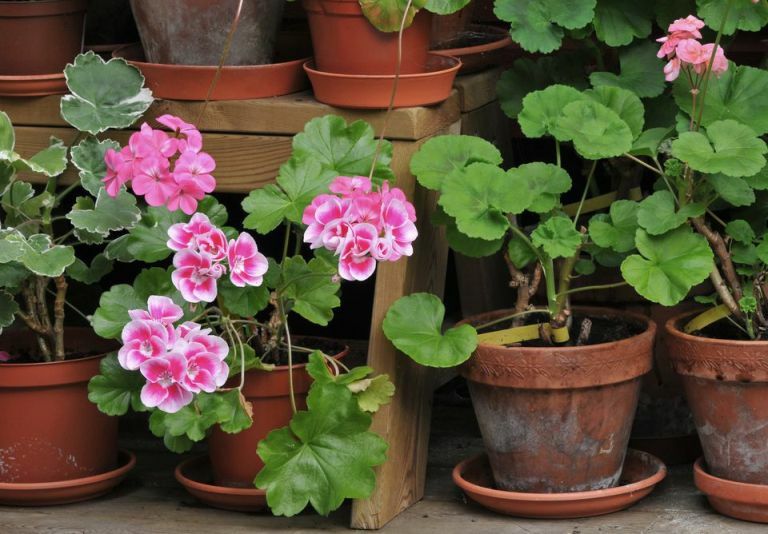 The perfect summer flowers will add absolutely enduring charm to your home as well as the garden. They will add to the effervescent environment of your home by calling forth an endearing charm to the eyes. 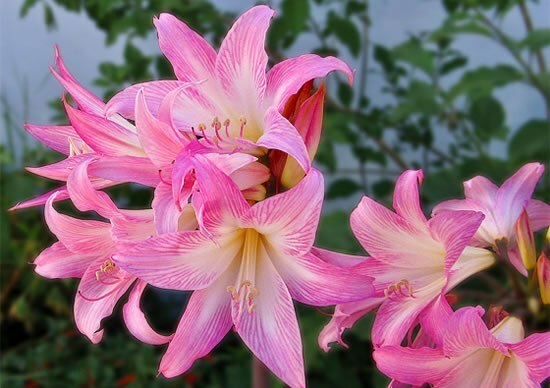 The beauty of these flowers is apparently explained by its name “Surprise Lily”! When you will have a feeling that the flower has all dried up, it will begin popping up surprisingly. 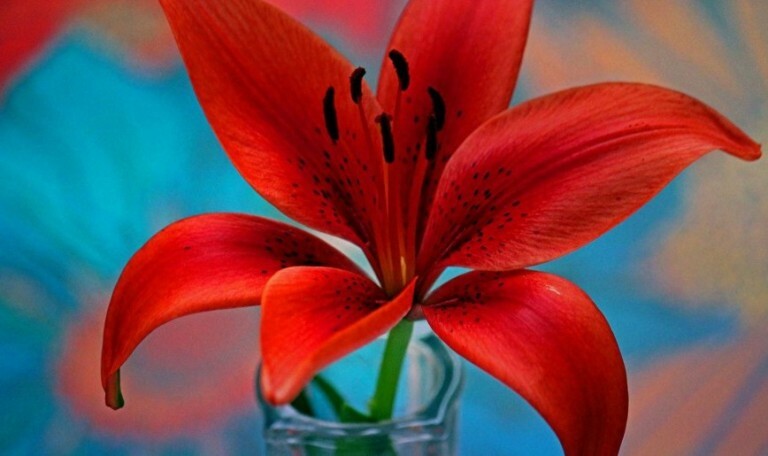 And, they will bring about the vivacious blooms and that is why they are also known as magic lilies (https://www.giftalove.com/lilies). You will not have to make much effort to make them grow well. Marigold, in addition to impeccably being able to enhance the beauty of the place it is put in is very easy to grow and care. They will also help you by attracting insects like butterflies and bees and by driving out the harmful ones from the surrounding. And, that is why they are one of the best summer flowers. Dahlia flowers are present in a variety of colours and shapes but it is differentiated with its clustered petals and the ball-shaped flowers. All the distinctive shapes of the plants have different height and purpose. Basically Daffodils are considered as flowers of spring but they also grow well during the summer season. These are also present in a number of different colors and forms and even some its varieties are fragrant. Growing daffodils once into your garden will make them grow every year. Beardtongues generally grow in mass but will not grow in overcrowded way on the same bed. The uniquely beautiful flowers of the plant make it a favorite of the summer season. Since, they can attract butterflies and birds they are interesting to grow. You must have them in your garden during the summer season. 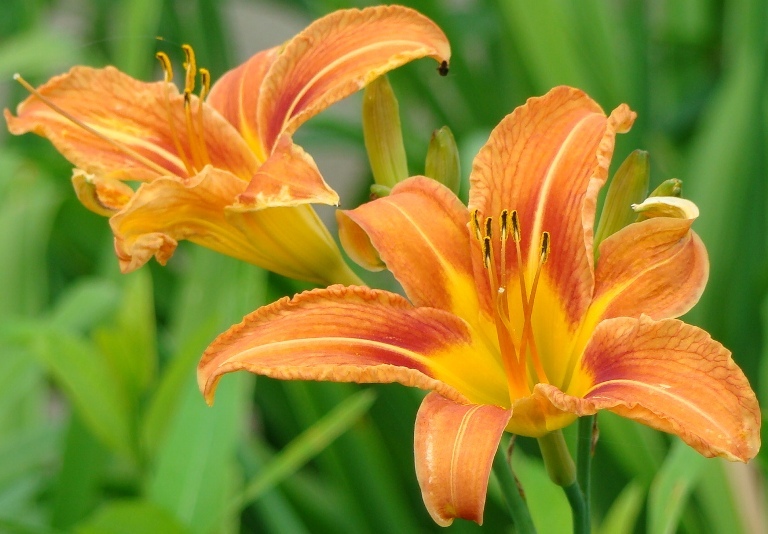 Actually Day lilies are not lilies anyway and its name is so because of the interesting way in which it grows. While the plants will grow in all the seasons, flowers show up only within 24 hours. Since they can attract butterflies and birds it quite good to have them in your garden. 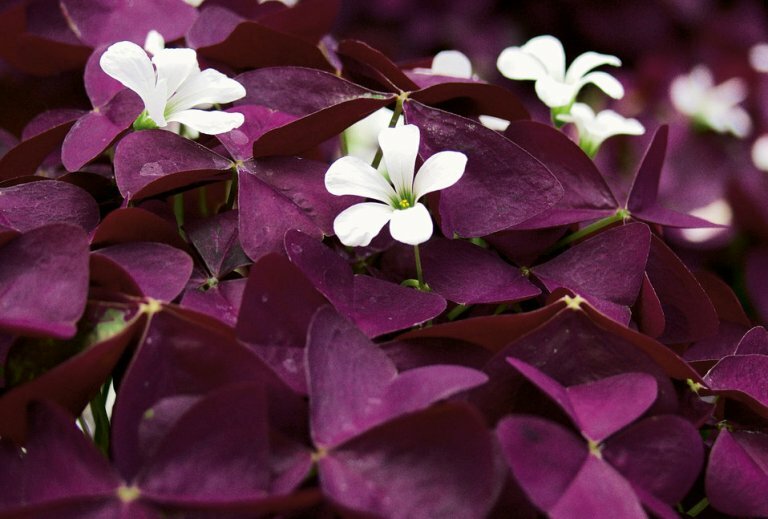 Oxalis grows all around the world and it grows in a variety of forms with different types of leaves and flowers. These flowers are grown both as ornamental plants and for making use in food. 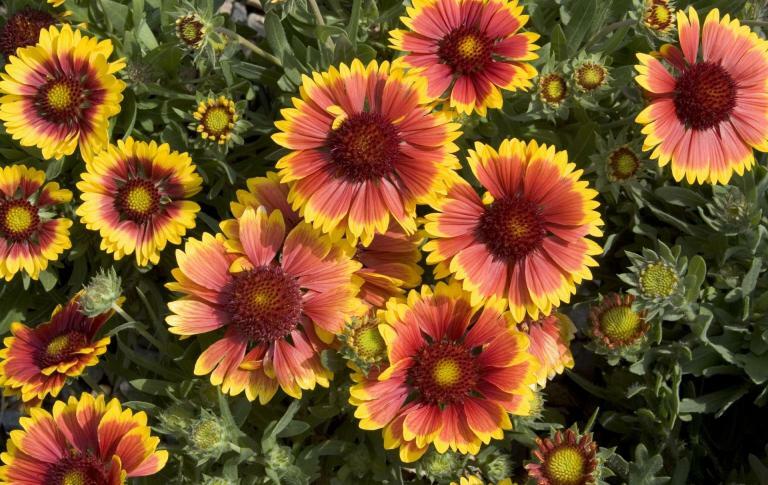 Gaillardia aristata are from the family of the sunflower and are also called as blanket flowers. Since they can cover the whole orange and read fiery field during summer they are called as summer flowers. They are sure to attract bees and butterflies in your garden if you are going to plant one. It is one the favorite flowers for those who are homesteaders and indeed are one of the most iconic and beautiful flowers. While you can see Sunflower swaying in the breezy summer you can say that its summer indeed. Also, it is of great importance both for livestock and also for man. 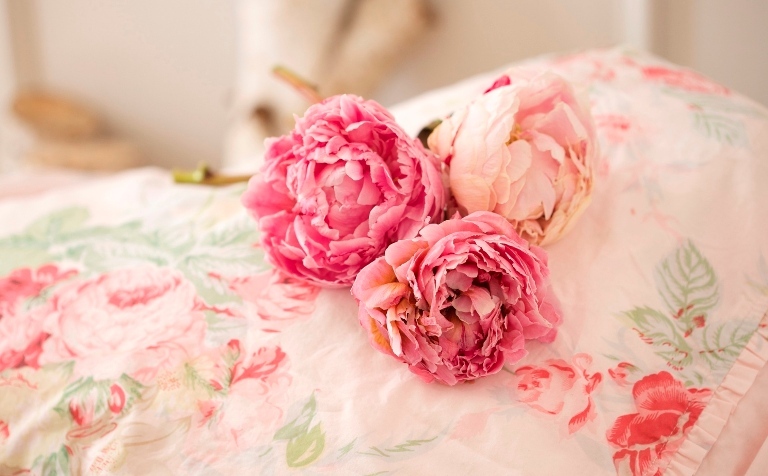 Peony flowers are great both for fragrance and beauty and most homesteads can’t live without these beautiful blooms. They will either grow as tall as a tree or will just be growing in the form of herbs. Shrub roses are actually quite elegant and will need only a small amount of maintenance and that makes them the best summer flowers. While they can withstand dryness, moist is great for them to grow. You need to be enough careful while planting them because there are horns too. 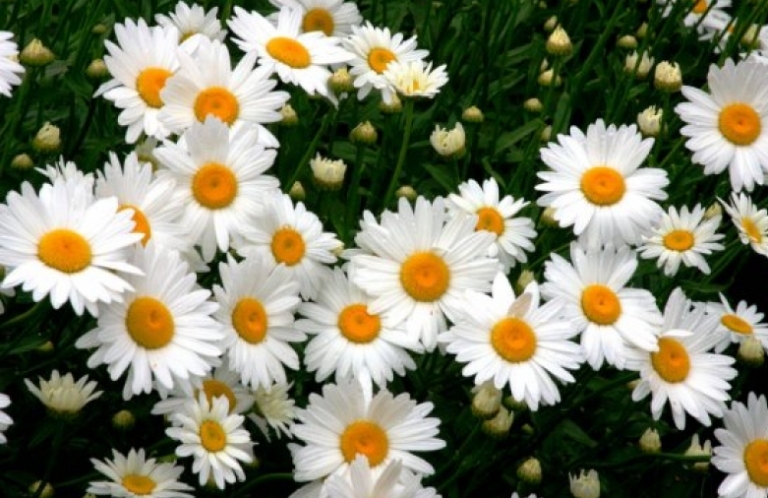 For the snow white petals that it has, these flowers are called as Shasta Daisy and are favorite of many gardeners. These flowery plants are believed to grow all around the summer season and are great for wedding decoration or any white flower arrangement. It has a distinctive smell and is not very much liked by many people. Gerbera plants have daisy like flowers and are one of the type herbaceous perennial plants. For having the straight stem, red Gerbera are considered to be one of its kind’s most popular flowers. 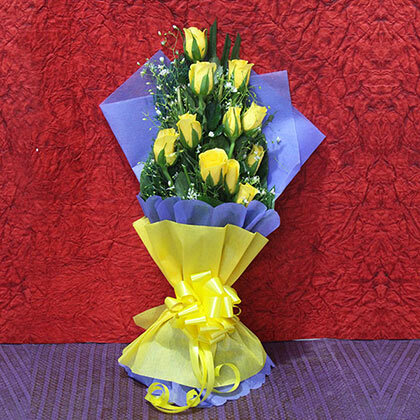 They can perfectly be used for any occasion in the form of bouquet or any other arrangement. Basically they are flowers of summer season and are known to grow well in moist soil. Hydrangeas are great to be grown in summers away from the sun in the shade. These are flowers which bloom for a long period of time and they have flowers of blue colours, but sometimes their flowers may also be in different colours. 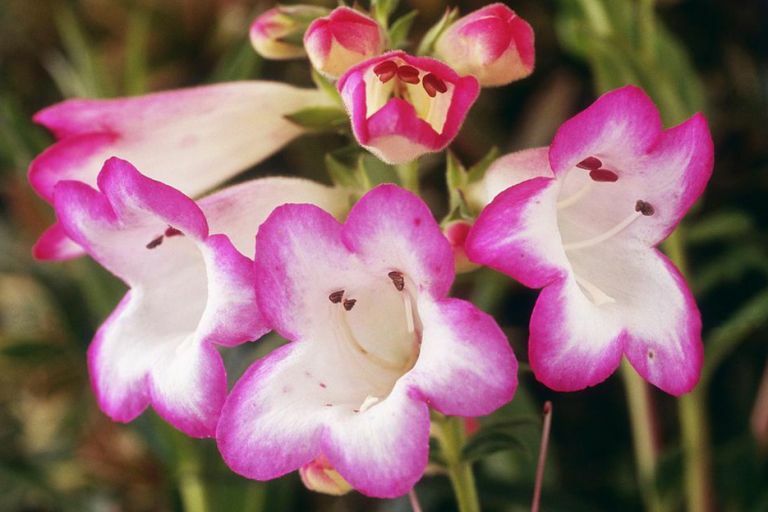 These plants with flowers having vibrantly different colours are believed to be drought resistant. 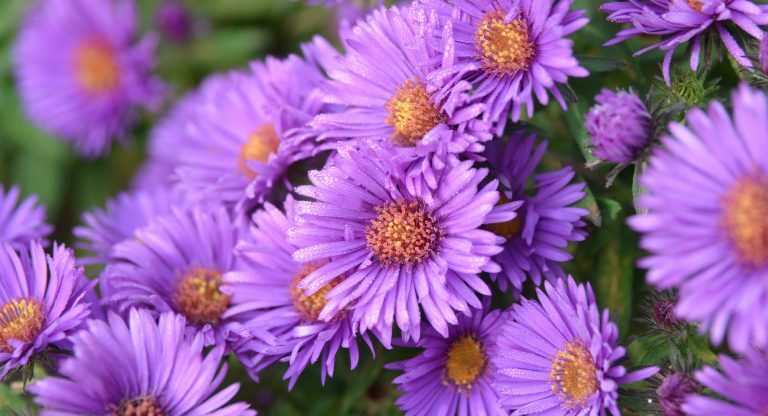 They belong to the family of aster and are one of the best cut flowers. 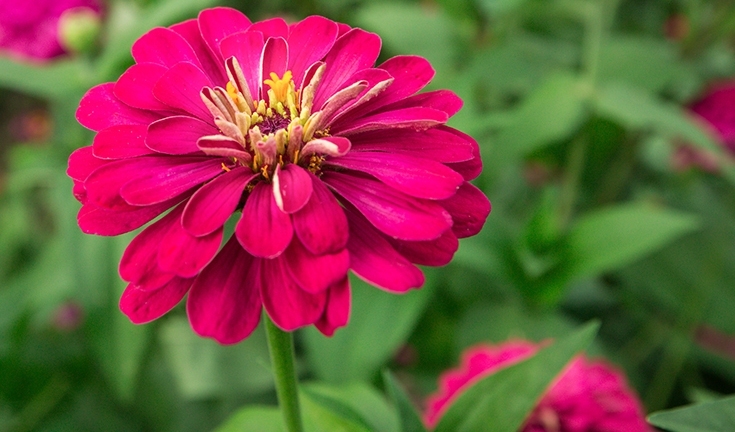 Zinnia flowers are easy to grow and they can aesthetically add cheer to place where it is grown. In the family aster flowers only a few flowers have blue colors and this is one of them! These flowers can give a perfect start to your garden. Blooming in beautifully bright colours these flowers can attract butterflies and will need low maintenance and that makes them perfect flower for summers. 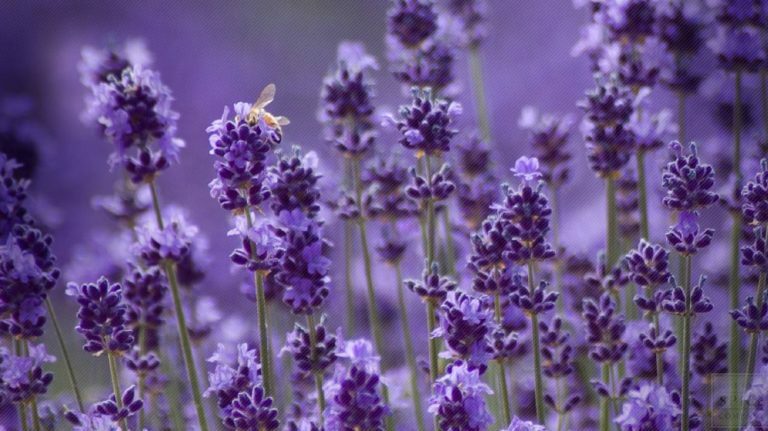 Planting Lavender at the entrance of your home is great idea as during summers its best to revel in their beautiful aroma. This is also an important plant for all the homesteaders and its blue flowers have a plenty of uses and benefits. These can be natural source for cleaning and other purposes and it can be a perfect choice for summers. 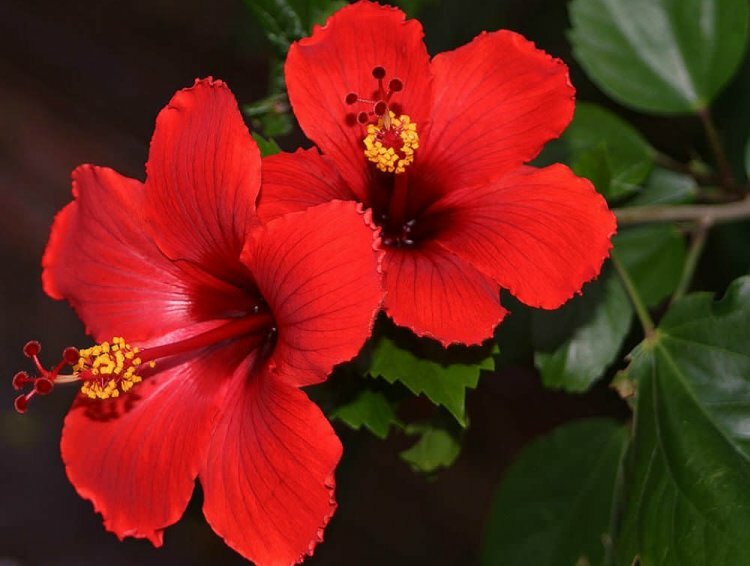 If you are one who loves tropics then growing hibiscus is a great idea to bank upon! 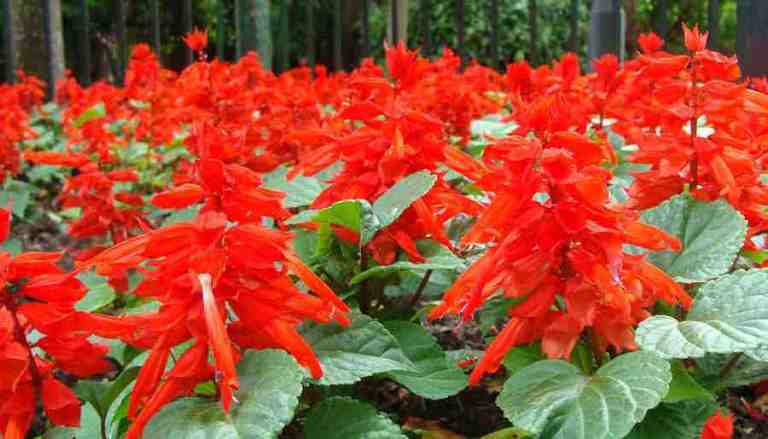 It’s one of the best flowering plant and they are present in different colours and shapes. They grow in colours including yellow, red, orange, pink, white and purple. To the any of seasonal gardens these flowers can add a beautiful pop of red color! These are known to be wildflowers. The habitat it is grown in makes it strong enough to survive even in the harsh condition and is therefore a well known summer flower. Keep watering it and you will see the bright and beautiful color being able to attract bees and butterflies. Wishbone flowers have dainty cup sized blooms and they grow in different colours including blue, purple, pink and yellow. They can perfectly fill the spaces in the flower bed. To keep the flowers bloom you will need to keep the flower bed moist but not wet. 5 Most Preferred Birthday Flowers You Must Try Surprising Your Loved One with! When it’s someone’s birthday, you definitely feel the pressure of gifting the best to him/her along with the feeling of happiness for the event. How about the idea of gifting beautiful flowers this time? Apart from conveying love, flowers will definitely make the receiver happy. Well if you have never been into flower gifting on birthdays then you must know about 5 most preferred birthday flowers that are discussed in this blog. A decorative something, a useful something, a unique something is what you have been gifting all these years to your dearest ones on their birthday, but what you have been missing all these years in gifting your dearest one are lovely flowers. No wonder, something special wrapped in a box makes the receiver feel loved a lot but a flower bouquet, bunch or any other arrangement is sure to convey affectionate feelings of heart in a magical way. The most elegant birthday gift surprise is this one. An attractive Glass Vase with lovely Tulip flowers in it is sure to make a heart winning impression on the one who is celebrating his/her birthday. Be it your mother, friend, colleague, father, wife, sister or any dear one, this is definitely a wonderful floral birthday gift to impress dearest one and make him/her feel loved too. To bring that instant smile of happiness on the receiver’s face and to convey hearty wishes in the most affectionate ways, choose gifting a bunch of mixed colorful flowers of every kind possible. You can try out roses (www.giftalove.com/roses), tulips, orchids, gerbera, carnations and other lovely flowers to get arranged beautifully in a lovely basket. If it’s your beloved’s birthday and you wish to convey your hearty wishes with flowers in a romantic way then this is what you need to make choice for. 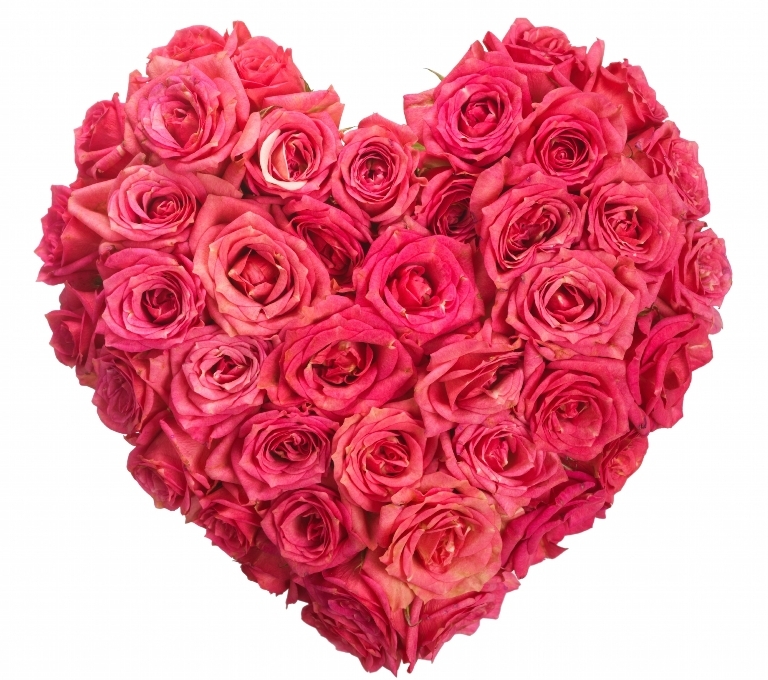 Heart Shape arrangements of gorgeous rose flowers is sure to help you win beloved’s heart on his/her birthday. It’s just the fabulous birthday gift for girlfriend, wife, husband, boyfriend or fiancé. One of the best ways of showing love and care to dearest one on his/her birthday is with a bunch of beautiful carnation flowers. No wonder your dearest one will love this cute and beautiful floral hgift on this birthday and the lovely flowers will definitely express your hearty wishes to him or her on birthday as nothing else can. To convey your cheerful feelings and birthday wishes to dearest one, here is what you need to make choice for. 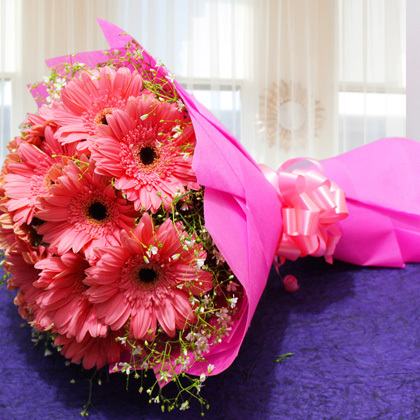 A bouquet of colorful Gerbera Flowers is sure to bring a jovial expression on dear one’s face. It will be loved by the receiver to get a bright bouquet of colorful Gerberas as this will add more cheerfulness into the birthday celebration. 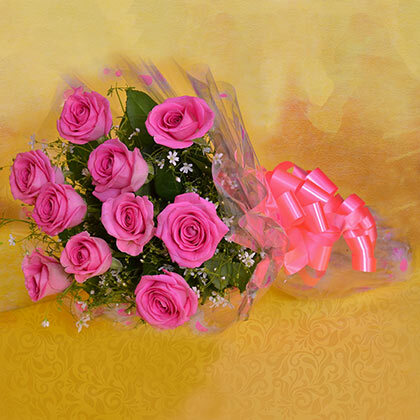 Hope, you are now convinced about the idea of gifting flowers to close and dear ones on Birthday? Apart from expressing Birthday wishes in the most jovial way, flowers convey love, happiness and care to the receiver. Moreover, flowers are beautiful gift of nature that can make anyone happy. So, this time, choose flowers over birthday gifts. And, to buy birthday flowers online at GiftaLove.com. 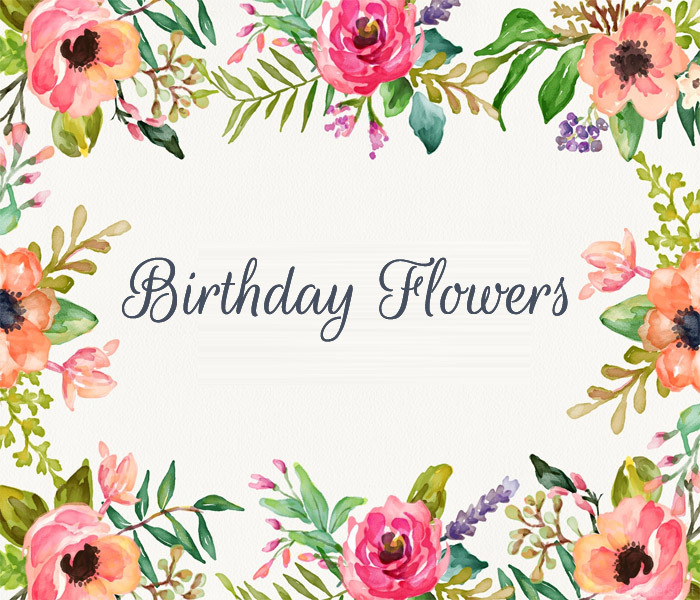 There is a very extensive and very wonderful range of birthday flowers with myriad options to choose and shop online. 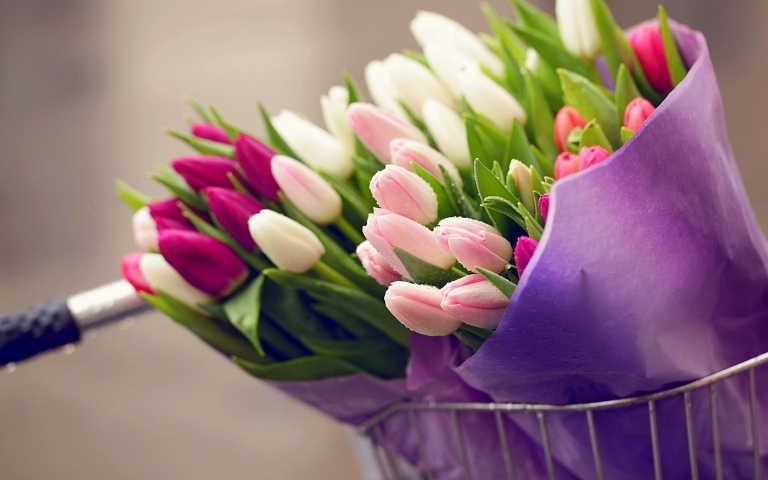 5 Interesting Facts About Gifting Flowers! Flowers are true conveyors of love… flowers are eternal souvenirs of care… flowers are expressive and the cheerful. This is how flowers have turned out to be the most amazing presents over the ages. 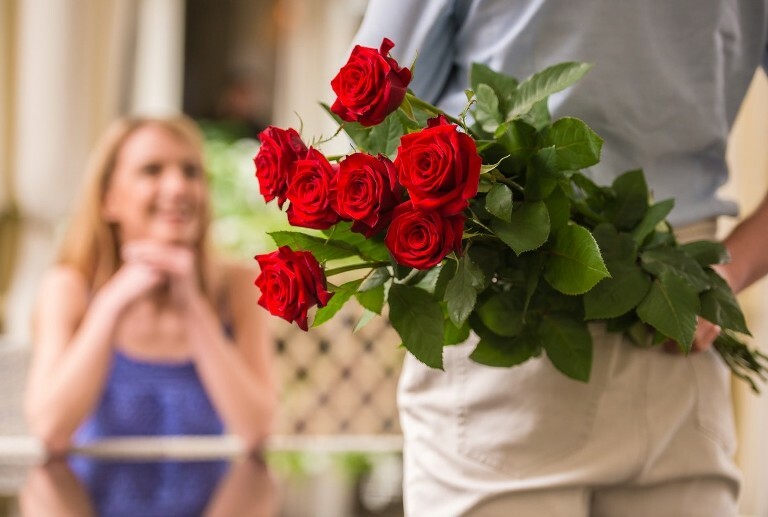 But, no wonder how many times you have gifted flowers to your special ones, you might not have been aware of some interesting facts about gifting flowers. Despite all the reasons that one finds flowers as one of the best gifts of all times, there is every less awareness about the facts of flowers. So, let us help you know some of these wonderful facts about gifting flowers. It doesn’t matter that how endless is the range of gifts available to make choice for, flowers has been and always will be the most affectionate souvenirs of all time. It’s because flowers are said to speak their own language of love. Thus, a bunch of flowers is the most affectionate gift of all time. Flowers are Easy to Find! You might find searching a particular gift a bit effort making task. Also, you may end up buying something else then what you thought of gifting your dearest one. But, one thing you will always find easily is flowers. 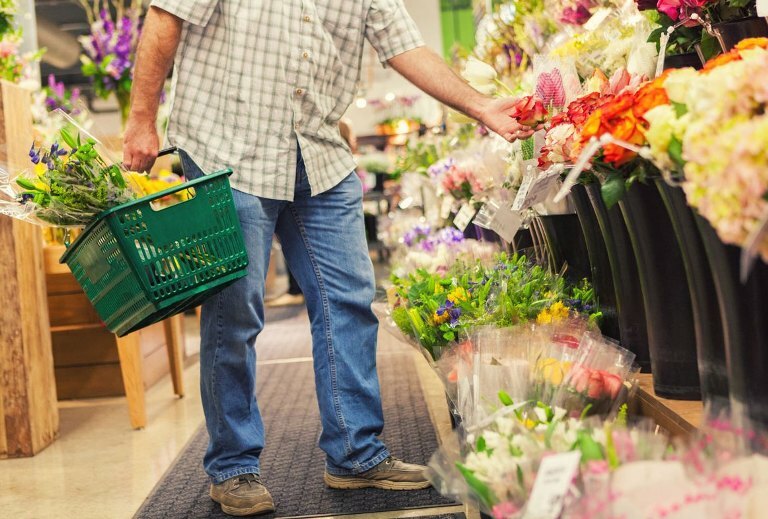 At any nearby flower shop, getting a wonderful bunch of flowers is easy like buying any regular thing. One of the most amazing things about gifting flowers is winning a woman’s heart with great ease. This is the reason that people find gifting flowers as one of the best ways of impressing a woman. Therefore, floral bunches are best as Mother’s day gift, women’s day gift, birthday gift, anniversary gift and more. Hearty Emotions are Best Conveyed with Flowers! If you wish to convey your heartfelt emotions to your loved one then this is what you need. It’s the wonderful gift to choose from flowers like any other expressive gift conveys the feelings of love in most affectionate ways. Therefore, when it’s time to express hearty wishes to dear ones or to make a love confession to someone dear and loving, flowers is what one needs to gift and speak heart. Flowers like Roses are Still the Most Romantic Gifts! Indubitably roses are the most romantic gift of all time. Apart from an expensive gift, flowers like roses are considered as one of the most romantic gifts of all time. This is how roses have turned out to be the most romantic gift of all time and most preferred choice for Valentine’s Day gift and anniversary gift. So, now when you are all aware of some amazing facts about flower gifting, you got plenty of reasons to prefer beautiful and fresh flowers over other options for gifting and winning the heart of loved ones. 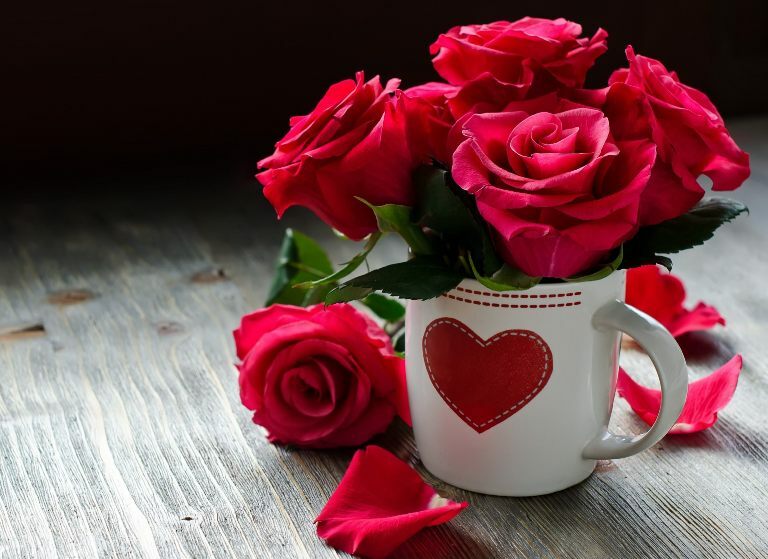 To buy flowers online or to send flowers to India anywhere, GiftaLove.com is there to help you with its awesome range of products and services for flower delivery in India and worldwide. 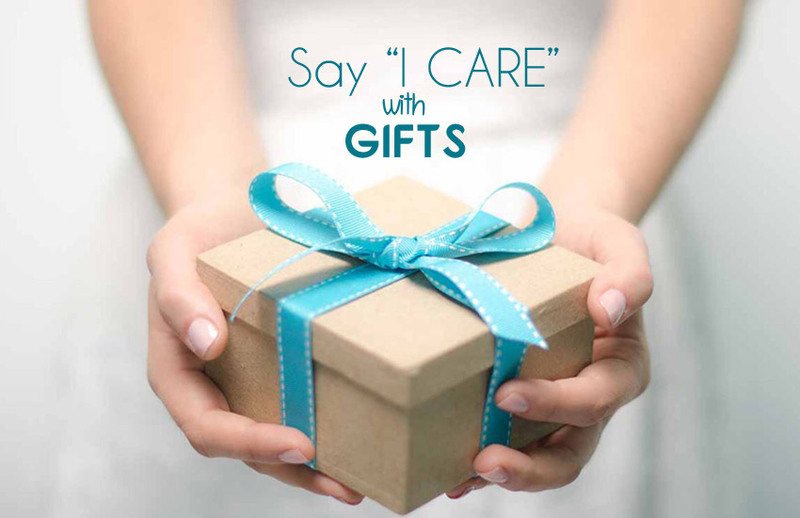 7 Thoughtful Gifts to Say… ‘You Care’!! ‘People you care are the people you love’. So, when you wish to convey your thoughts of care to someone you love or adore then gifts will help you the best way. No wonder a gift can help you express your hearty feelings of care and love without any word. All that you need is to pick the right gift for the same. Well making the selection for the most impressive and thoughtful gift of care might become a confusing task for you. But, worry not when you are going to express your heartiest feelings of care to someone dear. Picking thoughtful gifts like these will do the wonder. When you wish to say that you care, this is what you need to choose. 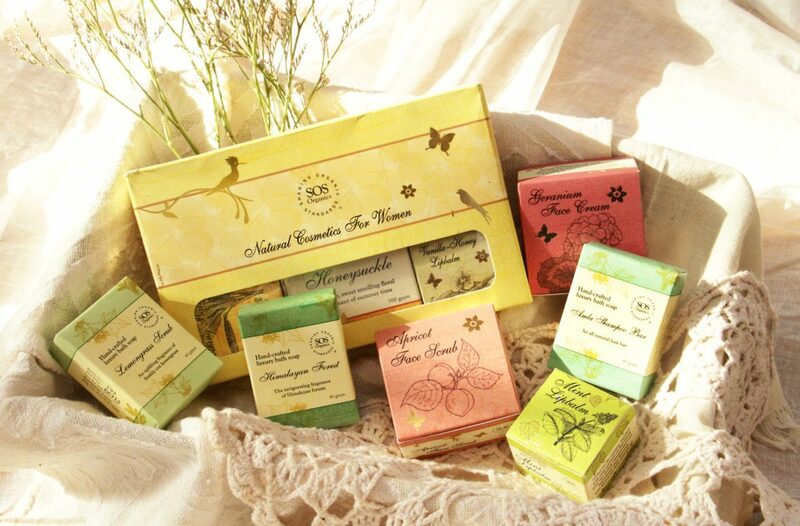 A hamper full of natural care cosmetic products won’t just make the receiver happy but will also make the one feel cared. It’s the best thing to say I care for your skin, hair and you the most. This is how such a hamper is an excellent gift choice for any women like mother, wife, sister, friend, girlfriend, fiancé and other. You know someone who is on strict medicinal course but finds it hard to take regular medicine dose every time? Well then this is what you need to make choice for. 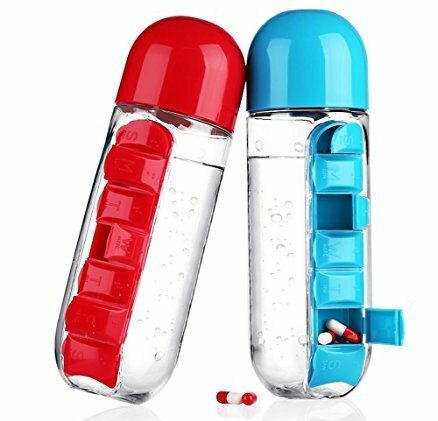 It’s easily available everywhere and you can find awesome choices in colors of bottles that gives you slots for medicines of the entire week. For someone who is passionate about gardening or to surprise an elderly retired person, this is the perfect gift choice to make choice for. 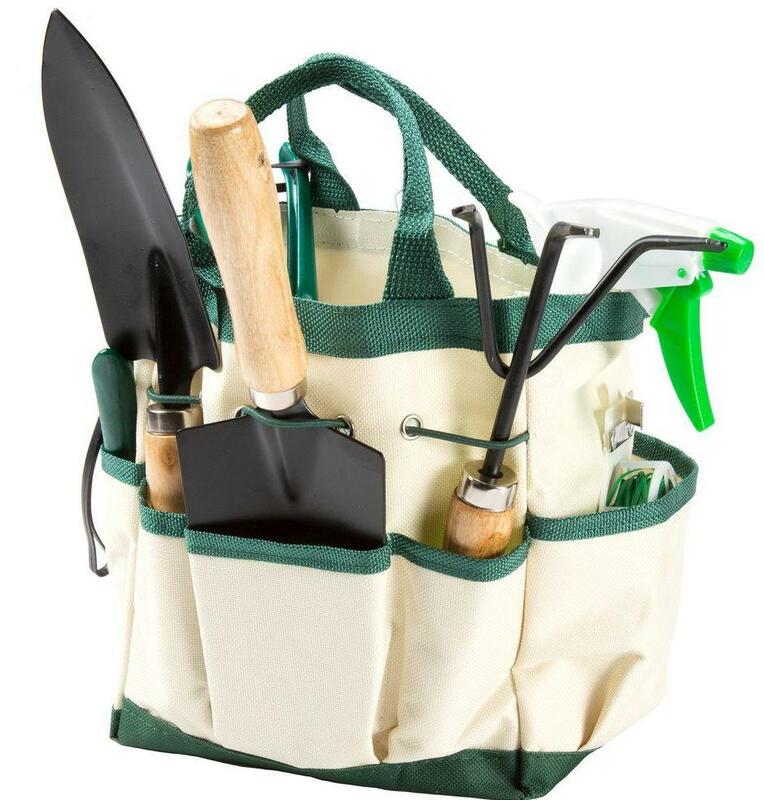 You can find gardening tools kits easily in different varieties, tools and budget. The variety of tools will surely help the receiver garden plants and flowers of choice. 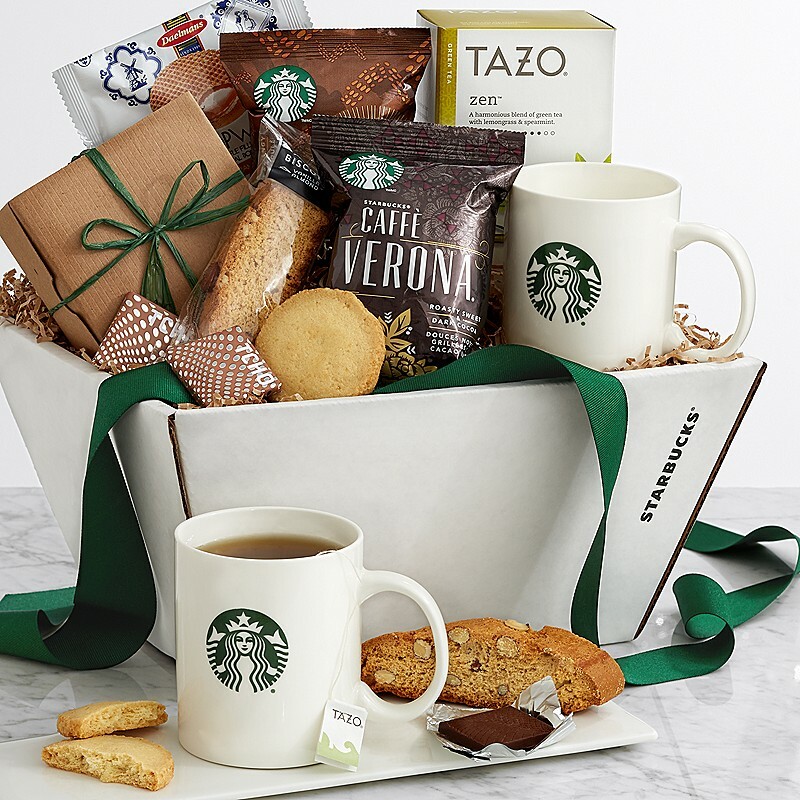 It’s a thoughtful gift to simply express your caring side to the receiver. Another very amazing gift to express your feelings of care to the one you care is this one. It’s the excellent gift choice to make for the one who leads a very busy and tiring lifestyle. 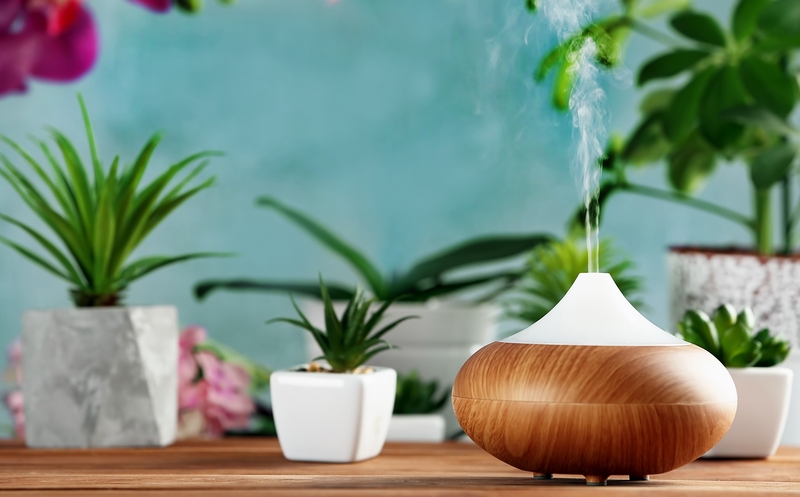 An essential Oil diffuser will help your dearest one to relax. It’s the aromatic fragrance of essential oils that will help your dear one to feel calm and happy. 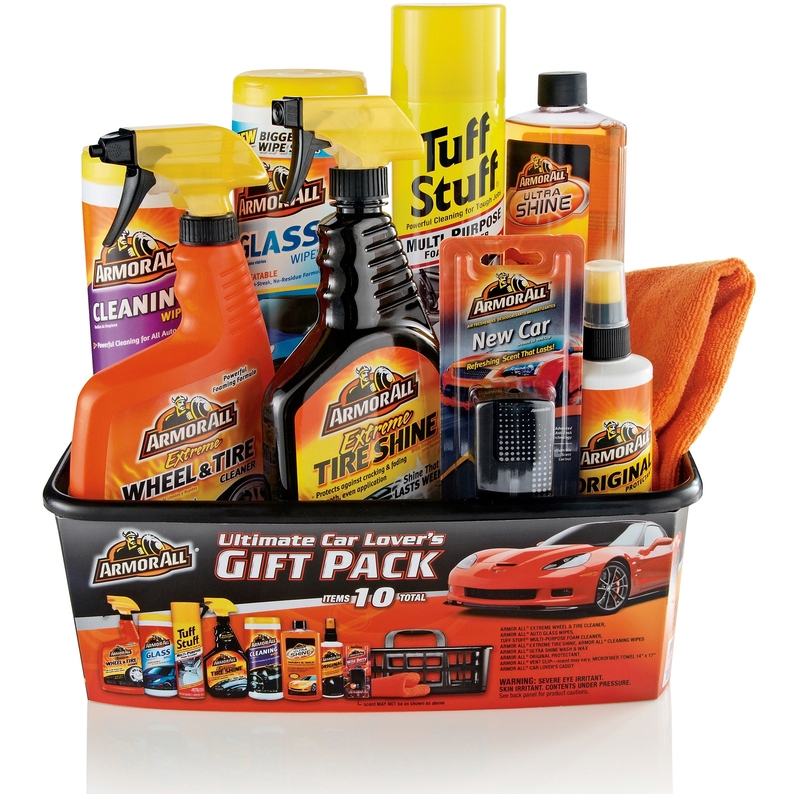 For someone who has recently bought a new car, the idea of gifting a car care kit will never fail making him/her feel cared and loved. You need to choose the best car care kit with best quality products to let your dear one maintain his/her prized possession in the best way. 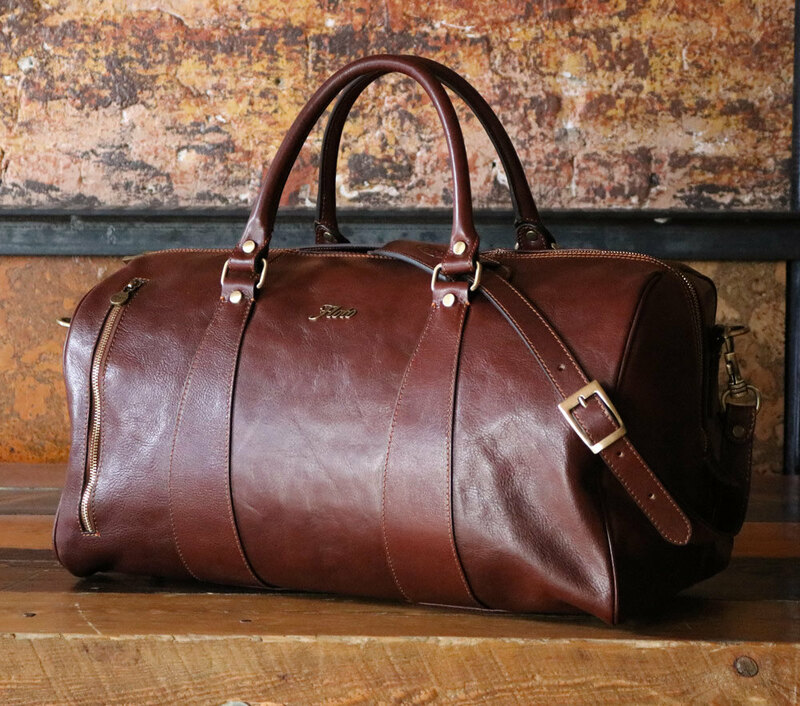 What’s great about gifting a travel bag to someone dear is the thought of care behind it. No wonder while travelling every one desires to have a comfortable and convenient travelling that looks stylish to flaunt as well. This is the gift option you can definitely choose to surprise the one who is a passionate traveler or often travels because of work or any other reason. To the one whom you wish to see healthy and fit, this gift hamper option is the best. These days basket of healthy eateries are easily available online and at local stores too. In fact you can make a hampers of variety of healthy eateries like oats, cookies, green tea and more on your own at home. You liked the ideas? Hope, this blog has helped you in getting the best suitable idea for a gift which can help you express your caring side to your dearest one. For more such wonderful gifts to surprise your loved ones during special time, GiftaLove.com is always there to help you out with best gift solution. Moreover, the efficient service to send gifts to India of the portal is there to help you connect with people who are miles away. Birthday Flowers Gift Guide: Yes! 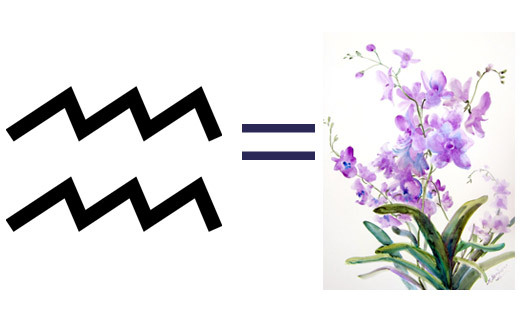 You Can Give Flowers As Per Zodiac Sign!! The time when we decide what to give someone as Birthday gift, we hardly give a thought to choose a gift as per their zodiac sign. We might go with choices and preferences of the receiver but we don’t realize that best wish comes from a heartwarming gift like beautiful flowers. And the amazing fact is that you can gift birthday flowers as per zodiac sign. Read further to know more about it. 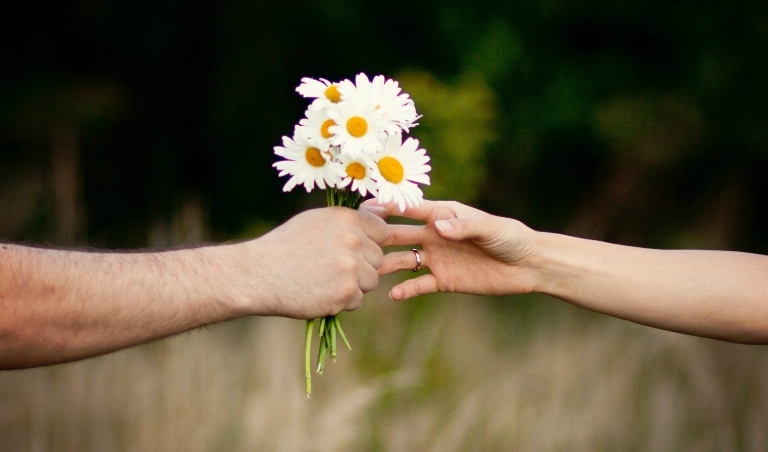 Indubitably, act of gifting flowers is the most preferred way of expressing heartiest feelings of love as flowers are one of the wonderful gifts of God to humankind. But have you ever thought of gifting flowers to someone as per his/her zodiac sign? Sounds quite interesting, right? Well we all know that every zodiac sign is ruled by specific characteristics. 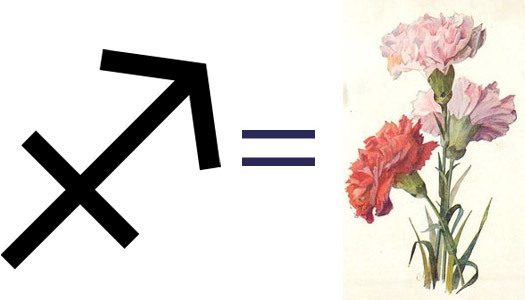 It’s also interesting to know that every zodiac sign is coupled with certain flowers. People belonging to this zodiac sign are very creative, honest and good decision makers. They can be someone with sides reflecting their fierce behavior and on the other side they can be affectionate, motivating as well as quite organized people. 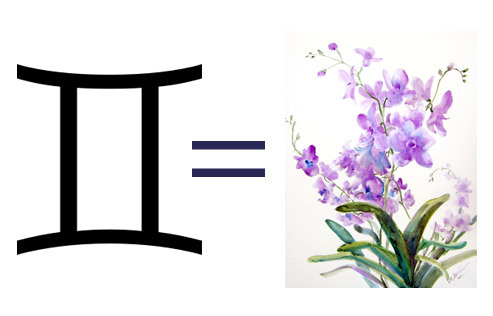 For people of Aries zodiac sign, Huneysuckle is the birth flower. In fact it’s hard for people of this sign to resist them with charm of honeysuckle flowers. Stubborn and people looking up for finest things, usually belong to Taurus zodiac sign. 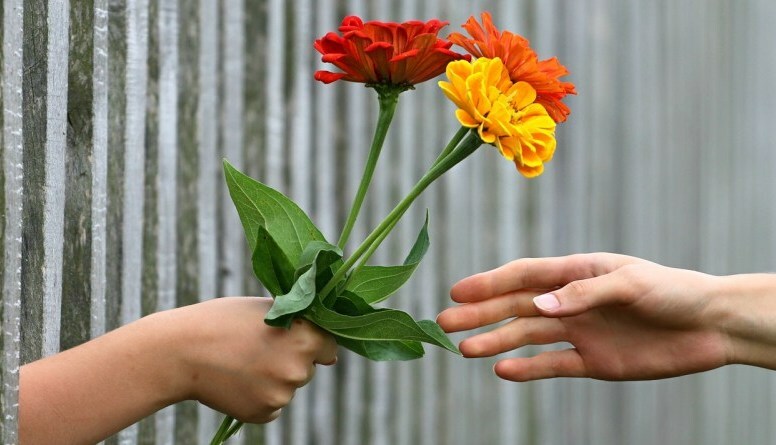 You can simply touch the sensitive and affectionate side of such people by giving lilies, roses or poppy flowers. In fact, you can choose the brilliant way of making them happy with gifting a Birthday flower bouquet or bunch of all three flowers. Creative, imaginative, expressive and quite introspective are people of Gemini Zodiac sign. They are also very talented and quite cheerful people. 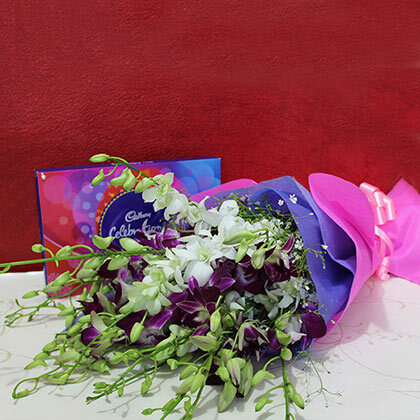 The best way of making their birthday special and memorable for them is by surprising them with orchids, lilacs, violets and other tropical flowers too. Cancerians are typical fun loving people. They are sweet, sensitive, emotional, easy to go along and good natured people. 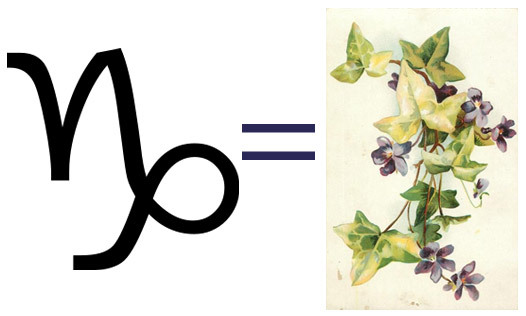 Different kinds of white flowers signify as birth flowers of people born under this sun sign. The pure white colors of flowers are related to the purity of spirit who belong to this zodiac sign. However, lotus, lilies as well as morning glory are some flowers that can easy appeal cancerians. They are warm hearted, fun loving and very generous by heart. You can easily believe a person of this zodiac sign they are faithful and loyal. Also, they are passionate about music, dance, art and are known to be natural leaders. To win their heart on their birthday, Marigold and Sunflower flowers are excellent gift choice. They are usually very perfection oriented people. Also, they can be recognized to be friendly, dependable, caring and very patient in nature. On their Birthday, you can easily wish them and make them happy with a bunch or any flower arrangement of Yellow Carnations, Chrysanthemums and Asters. You can recognize a person born with Leo zodiac sign as very energetic, cheerful and ones with affectionate heart. They believe in maintaining a balance, be fair and justice. Since they are associated with poetry, philosophy and art, beautiful Roses of all kinds becomes the perfect match for people of this zodiac sign. 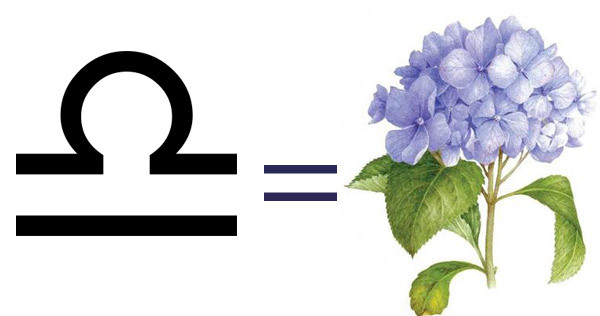 Flowers like Daisies, Hydrangeas and Bluebells are associated with people bormn in this zodiac sign. Mysteries, intelligent, charismatic, passionate and loyal people are recognized being born under Scorpio zodiac sign. Their mysterious nature is unlike any other trait of people born under different zodiac signs. Their nature is best associated with Dark red Geraniums and Honeysuckle flowers. You can gift these flowers to them on their birthday to wish them and make them happy. True Sagittarians are known for their intellectualism, honesty, and forgiveness. They can also be known as fun loving, influential and quite loveable in nature. Their association is with Pink Carnations as well as Thistles. You can gift any of these flowers as birthday gift ( https://www.giftalove.com/birthday ) surprise to them. Just like fine wine, people born under Capricorn zodiac sign are known to turn better with age. Also, people of this sign can be known as determined, strong willed and possessing a very strong personality which also makes them natural leaders too. Flowers like Pansies, Knapweed, Ivy flowers and Baby’s breath are known as must picks when choosing Birthday flowers for a Capricorn. They are kind, absolutely non-conventional in nature, affable, expressive and believe in thinking forward. An Aquarian is also known to be commendable in completing their task in organized way and they are natural humanitarians. You can simply win heart of Aquarians on their birthday by surprising them with a bunch of Orchid flowers. Pisceans are much needed people on planet earth as the world would have been very boring without them. They are excellent communicators and extremely intuitive! They are believed to have great sense of humor. However, they can easily be carried away by emotions. Their natural creative abilities and sharp memory are commendable. Flower that are perfect to make them happy on their birthday because of being associated with this zodiac sign are water lily. 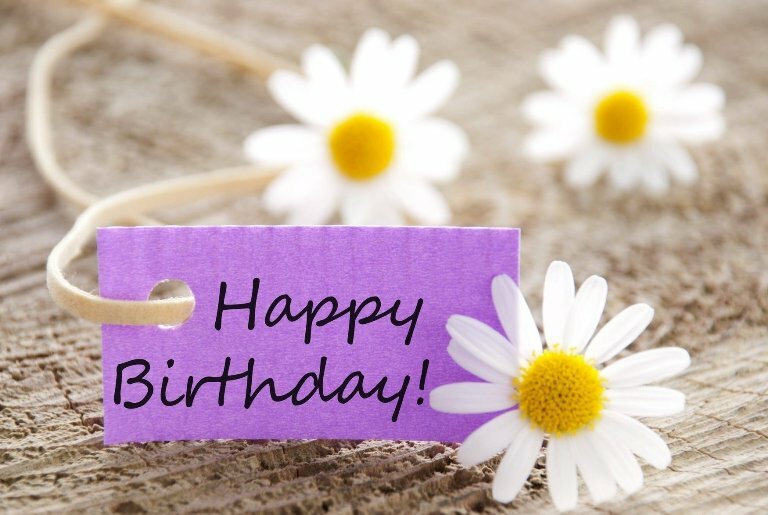 Now that you are familiar to flowers that correspond with different zodiac signs, use the information to pick the perfect Birthday flower for your loved ones and impress them with your knowledge of flowers as per zodiac signs and thoughtfulness of cheering them up on their special day – Birthday!! Well to buy flowers online, GiftaLove.com is definitely an excellent online gift store. You can buy gifts online as well as flower online and avail flower delivery in India and across the globe as well. For years, we have been into the act of gifting and greeting people with lovely flowers but not every one of us knows why flower gifting is a much preferred choice among people of every age. Well you need not to start discovering the reason for this as here in this blog are some compelling reasons of choosing lovely flower over gifts that will definitely help you get a better understanding about the fact. Vibrancy and beauty of flowers are gifts of nature. This might have been the reason for everyone to choose beautiful flowers as a gift for someone very dear and loving. In fact the most romantic love or marriage proposals are done with lovely rose flowers. It is so because flowers are said to speak the language of heart that only hearts understand. So, when there is the need for a heart warming gift, flowers are simply best. But, this is not only the reason for why flower have always been a preferred gift choice. Rather than choosing a human made product, gifting the beauty of nature such as a flower to someone dear is an affectionate gesture of expressing heartiest feelings of love to someone loving. So buy flowers online or traditionally via nearby gift store. As been said by many philosophers that flowers hold the ability to speak language of heart in its own way, people have found an excellent reason to make flowers a heart warming gift choice. So, when there are moments of confessing hearty feelings to someone very special, flowers and only flower can do that in most affectionate way. Have you ever wondered that why a sight of beautiful flowers bring those cheerful vibes around you or make you smile? Well the reason is its beautifulness and cheerful that it holds in it. In fact, flowers prove magical in making an ill person or depressed person feel better. Undoubtedly, its magical beauty of flowers! The endless varieties of flowers definitely bring endless ways of gifting it someone dear. 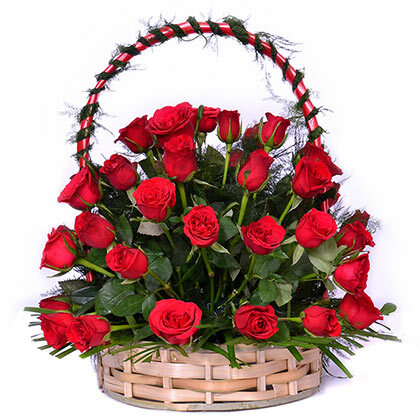 You can choose Red Roses bunch or basket arrangement to propose your sweet, colorful flower bunch to meet the ill one or someone celebrating his/her Birthday, a pink or white flower bouquet to greet someone at corporate meeting and many other beautiful flowers for special moments to greets dear one. Yes, that’s true because you need not to be specific about any special occasion or celebration when planning to surprise someone with flowers. It can be any time when you can gift beautiful flowers to someone very dear and loving. All that you need is a beautiful bunch, bouquet, and basket or glass vase flower arrangement to shop online and gift the special one. There are endless reasons that prove flowers are heart warming gifts for all time. However, I wish my 5 wonderful reasons gave you enough goals for flower shopping. Well the best way to surprise someone miles away with beautiful flowers, is GiftaLove.com. 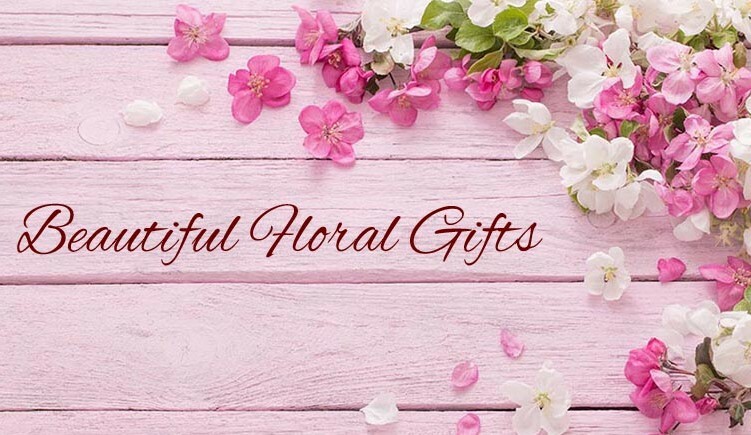 The widest range for beautiful flowers at the portal with amazing online gifts, offers prettiest options of flowers for every time gifting with ease of flowers delivery in India and worldwide. There are endless varieties of gifts and surprises that can be used to gladden the loved ones at their special occasions. Most of them become so common overtime that they are often tagged as ‘out-of-date’. However, if you choose to send fresh blossoms to your loved ones, your present will never go unnoticed. With the advancement in the field of e-commerce, you can now send the precious blooms to your dear ones via Same Day flower Delivery. The flowers are indeed idyllic gifts of the nature are intended to spread mirth and love all around the ambiance. They are vibrant enough to be displayed on every special occasion. In fact, these alluring blossoms can be beautifully combined with other splendid gifts, in order to make for overwhelming and mesmerizing presents. Besides, due to the advances in the field of online floristry, you can now have a mind blowing and marvelous varieties of floral arrangements such as the bouquets, wreaths, and floral baskets from the extensive array to choose from. It has been noticed that mostly, the people fail to get ample time for selecting the apt presents for their loved ones on the special occasions. With the flourishing trade of online gifting, it has now become pretty easy to order online flowers. If you wish to gladden your loved ones in Pune, you can send flowers to Pune from the convenience of your residence via numerous online flower Delivery portals. Here, you explore an infinite range of seasonal blossoms such as Roses (https://www.giftalove.com/roses), Gerberas, Orchids, Carnations, Sunflowers, and Lilies that feature multiple hues and in distinct arrangements. Well, you must have tried to impress your closed friends and acquaintances by sending them numerous varieties of floral arrangements featuring bright blooms that represent elation and bliss of your heart. Have you thought about sending the sunshine in a basket to them? You can easily do so by making an awesome pick from the latest range of Golden Sunny Baskets that feature bright and golden blooms such as yellow roses, sunflowers, yellow lilies, yellow gerbera daisies solidago and salal. 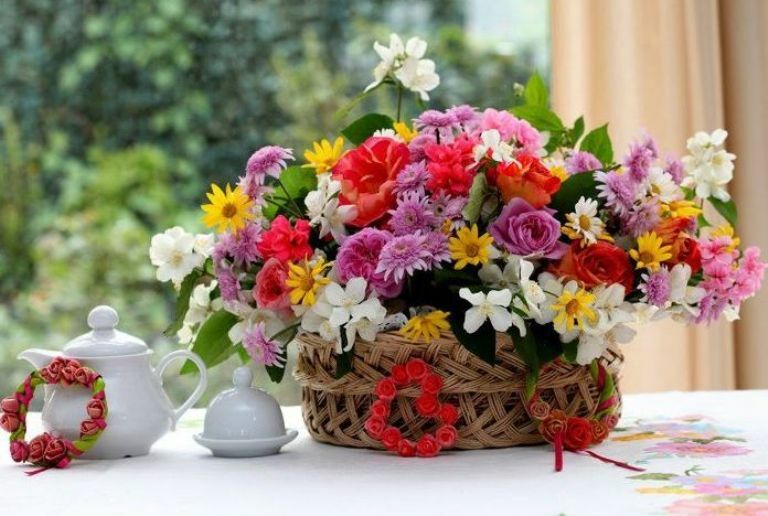 Such a breathtaking flower arrangement is sure to leave all your dear ones astonished at your selection. This is one of the most vibrant and spellbinding varieties of vase arrangement of Flowers at GiftaLove. Comprising of the selected varieties of exotic blooms such as yellow and orange roses, sunflowers, Pistochias, Salal, Solidago, Hypericum blossoms and the sparkling daffodils, this can really fascinate the receiver and make the day worth reminiscing. You combine this with the delectable exotic chocolates that enchant the taste buds of your loved ones. Roses are a perfect treat for celebratory occasions such as birthdays, weddings and anniversaries. It can be a great idea to startle the loved ones on their special occasions with roses and the fabulous cakes. You can choose from the awesome varieties of flowers with Cakes combos such as Pineapple Cake with Roses or a combo of Palatable Love that features bunch of tulips with Pineapple Cake. Flowers can effectively express the heartfelt emotions of your heart much more resoundingly than words. For ages, flowers have been regarded as absolute gestures to extol the beauty or the gallantry. Their fresh aroma makes everyone fall in love with them. Here is such a charming bouquet that can evoke the poetic feelings in every heart. Comprising of White Glads flowers and purple orchid flowers, this is something that can win over the mind and soul of the receiver. 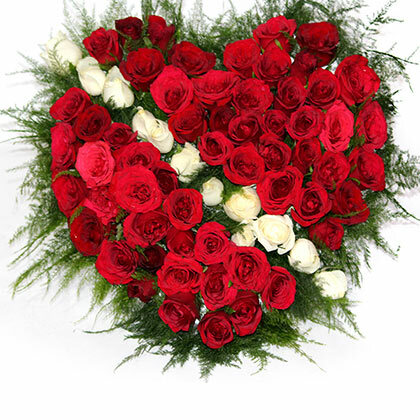 These are few enticing varieties of flowers that you can send to your loved ones in Pune. You can easily explore more such varieties from the reputed e-gifting portal, Giftalove.com. You can easily avoid the last minute hassle by choosing the thrifty Same Day flower Delivery service offered by them. Bright… Colorful… and Beautiful are these Blooms of Spring! The warm and sunny month of April brings a lot of bright and beautiful flowers with it. These can be seen perfect to deck any corner of home/office or to surprise someone dear on a special day. 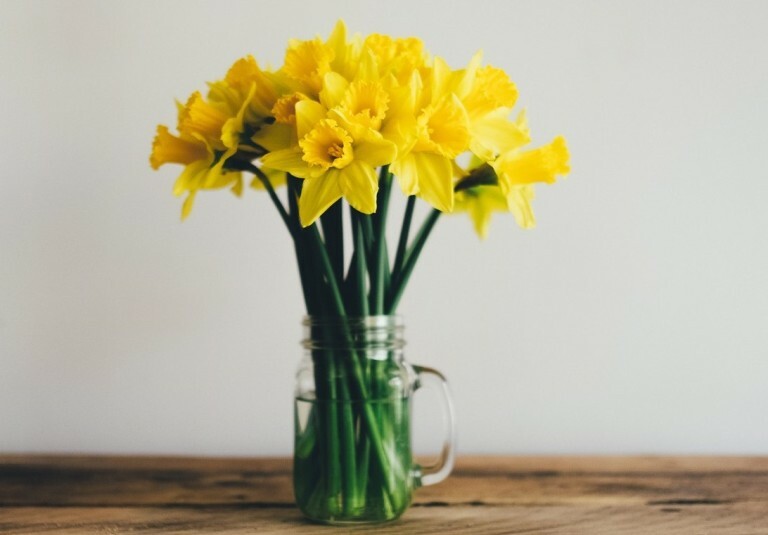 You can find any of the following flowers perfect to outshine in the month of April for uplifting the home décor or to gift someone as here is April Flowers Guide. 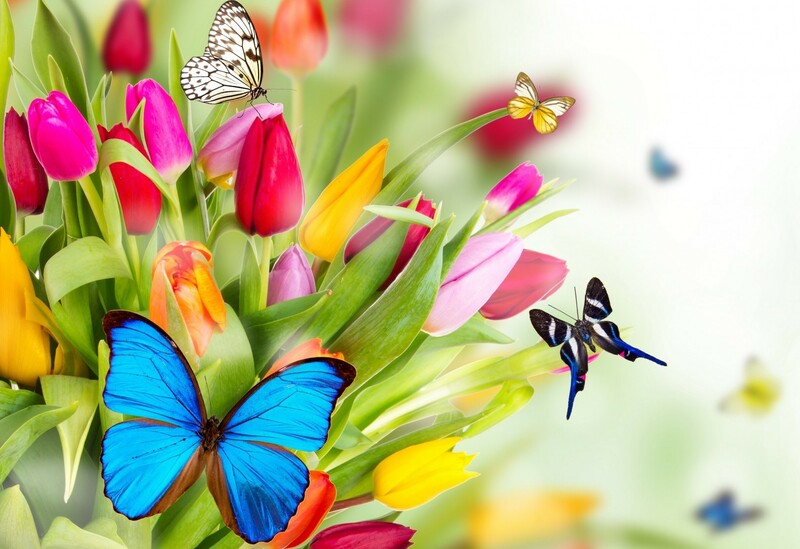 April, the month with spring on full swing is the month of celebrations, parties, festivals in which flowers add a lot of life, positivity and colors. So why let the beautiful blooms of April blossom and fade when they can be chosen to brighten someone’s day or beautify a place? 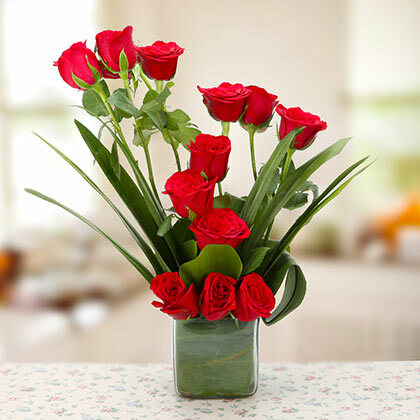 Buy flowers online at www.giftalove.com/flowers/ to uplift the home/office décor or to surprise someone with Flower Delivery in Pune, Delhi, Mumbai, Ahmedabad or anywhere else. So, this quick guide to some April Spring Flowers will help you choose the best blooms of the month. To bring the cool vibes in the month of April with stunning Lily flowers that are simply best. Wondering why so? Well then imagine an outdoor party or celebration full of white lily flower decoration. Or, imagine someone there on the door holding a decorative bunch of colorful lilies especially for you? Won’t lily flowers soothe your senses in both the cases? Well it will and that is why lilies are so much preferred in spring season. The thought of Gerbera flowers strives with lots of colors and brightness which is complimentary to the spring season. 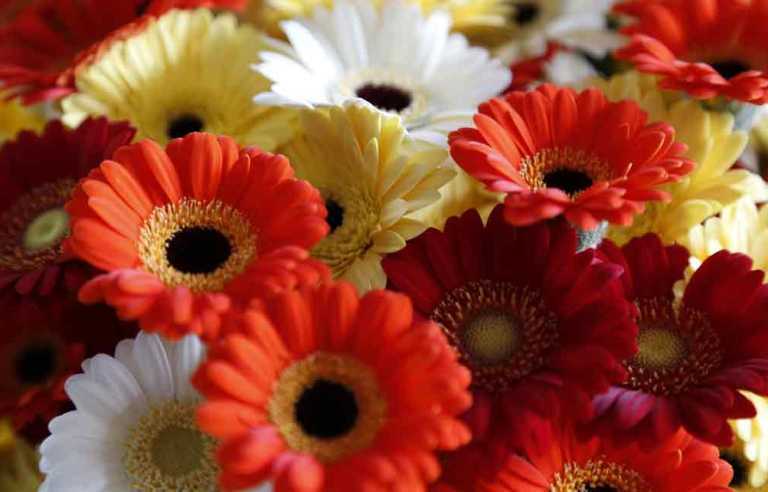 So when talking about spring flowers, gerberas are sure to make into the list as they best compliment the bright, colorful and warmth of the season. Also, gerberas as gift are as beautiful as gerberas decorated in an attractive glass vase. For the people with classy taste, the best spring season flowers for them are Tulips and especially the white ones. There are no doubts that too bring the freshness and cool breeze, elegant white tulips are great. However as April or spring flowers, tulips of lighter shades like white, pink and yellow are simply best. Another complimentary spring flower choice is Sunflower. The big and bright flower is one of a kind that perfectly matches to the feel of the warm spring season. In fact, a corner of a house/office festooned with bright yellow sunflowers is sure to add life and appeal to the place. 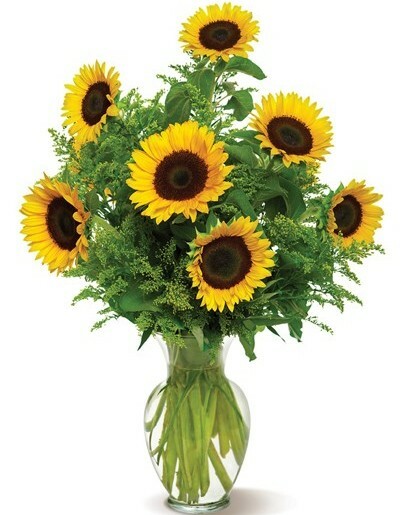 A bunch or bouquet of sunflowers will too work great in cheering up someone. Colors of glads and its vibrancy prove great as gift in the month of April. So as spring flowers, glads make a wonderful choice. You can find it awesome to gift someone or to accentuate a part of the home or office. The liveliness and cheerfulness of beautiful glads actually represent the season of spring the best! Spring comes with lively, positive and warm vibes so do these beautiful blooms. You can festoon any part of your home or office with such lovely spring flowers this season. Else gifting is great if flowers are so beautiful and affectionate. 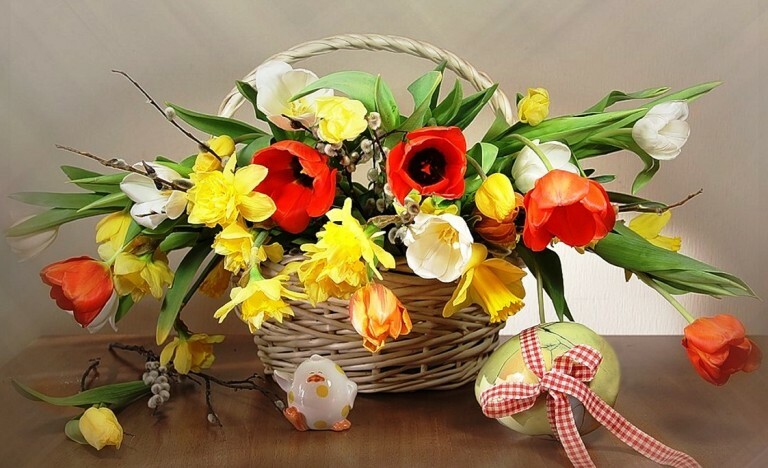 To buy such lovely spring flowers for decoration or gifting, GiftaLove is one of the best online stores to explore. It offers lovely flowers in wonderful arrangements to shop this season. You can also be a great gift giver if explore the range of Flower combo like Flower with Cake(https://www.giftalove.com/flowers-with-cake), Chocolates, teddy and more at the gift store.